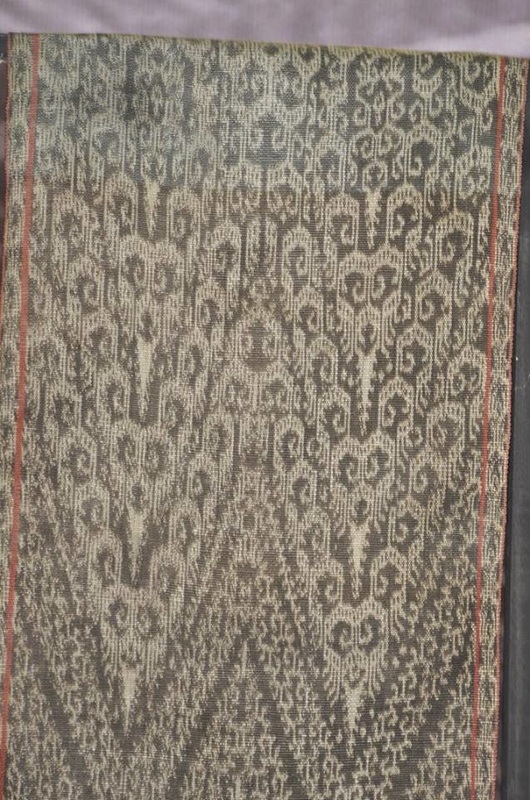 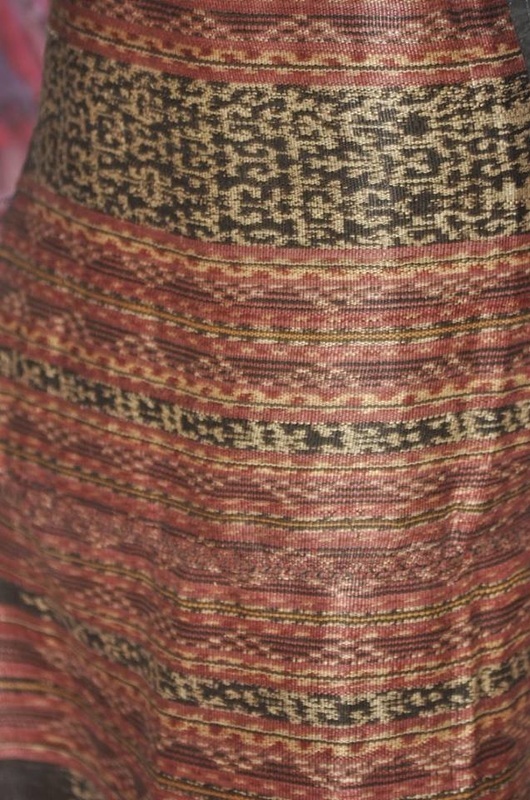 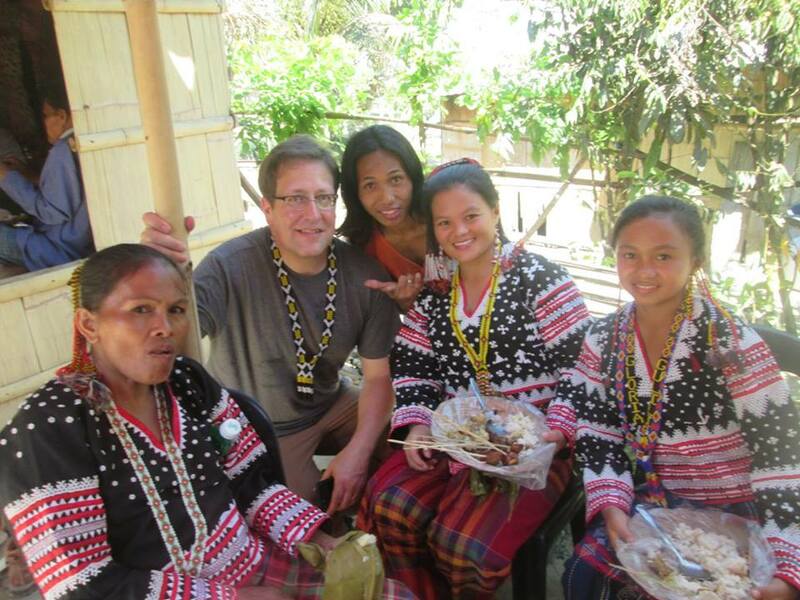 Craig Diamond is the first American that ordered Tabih Amlatoh to Fu Yabing and got his order during his visit on April 16, 2016. 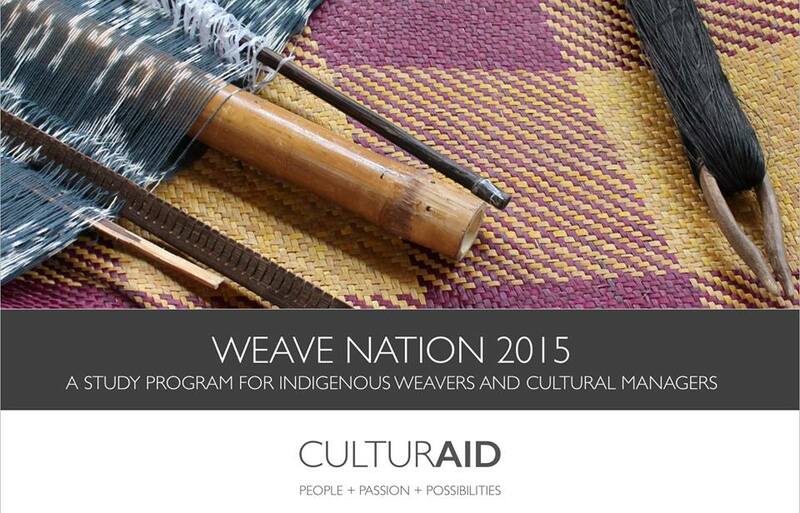 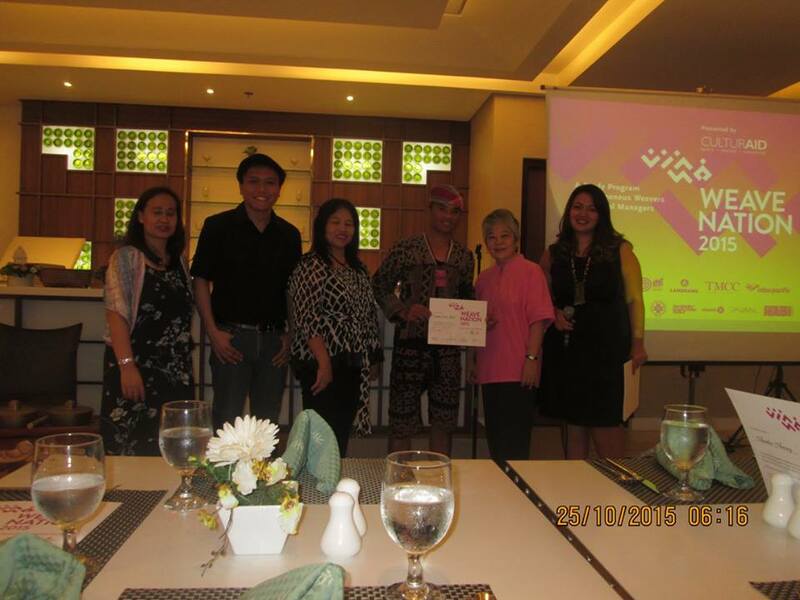 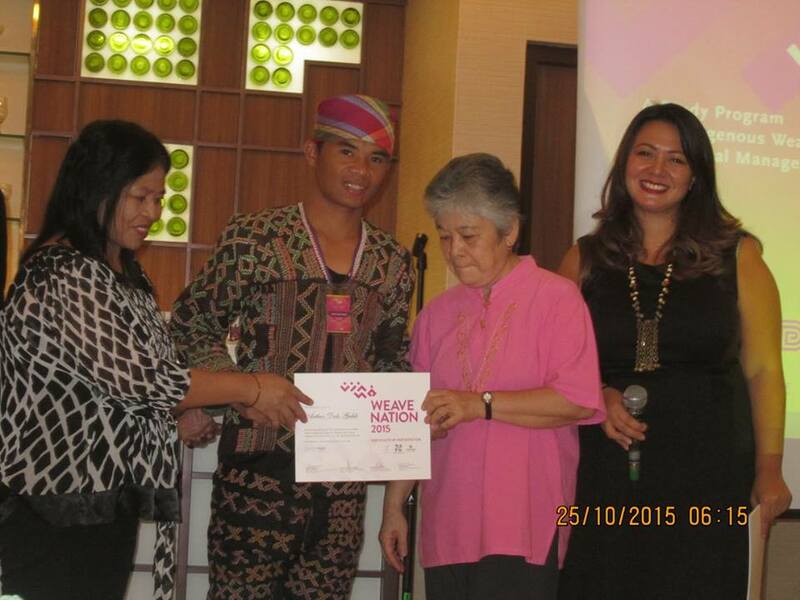 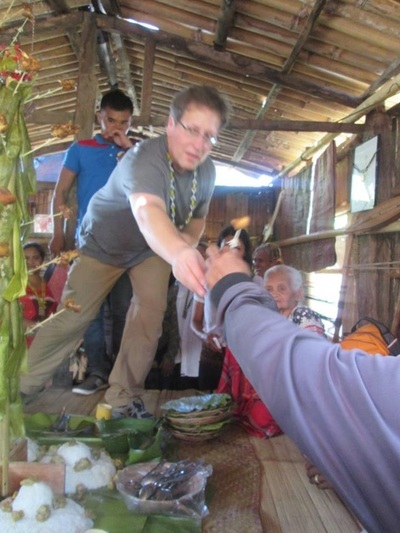 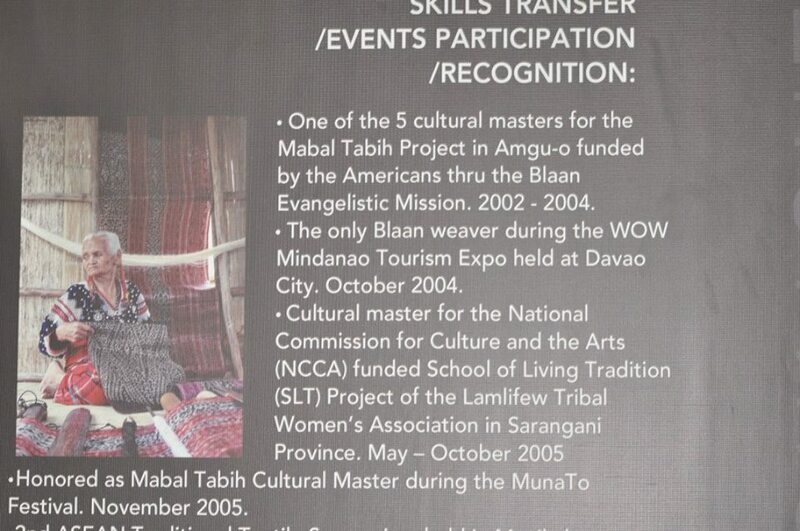 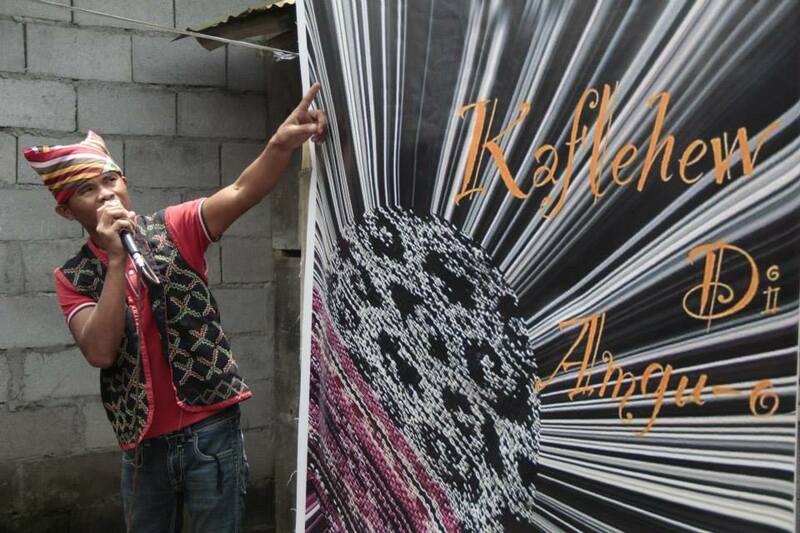 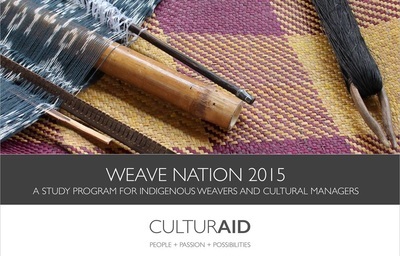 Craig was honored as a patron/supporter of Mabal Tabih revival in Amgu-o. 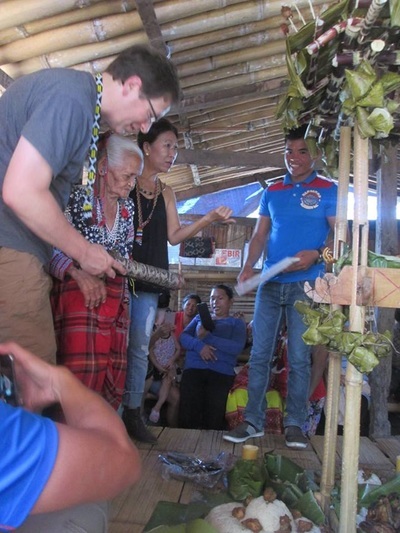 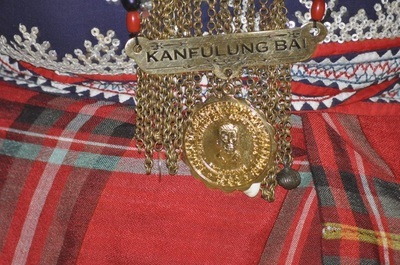 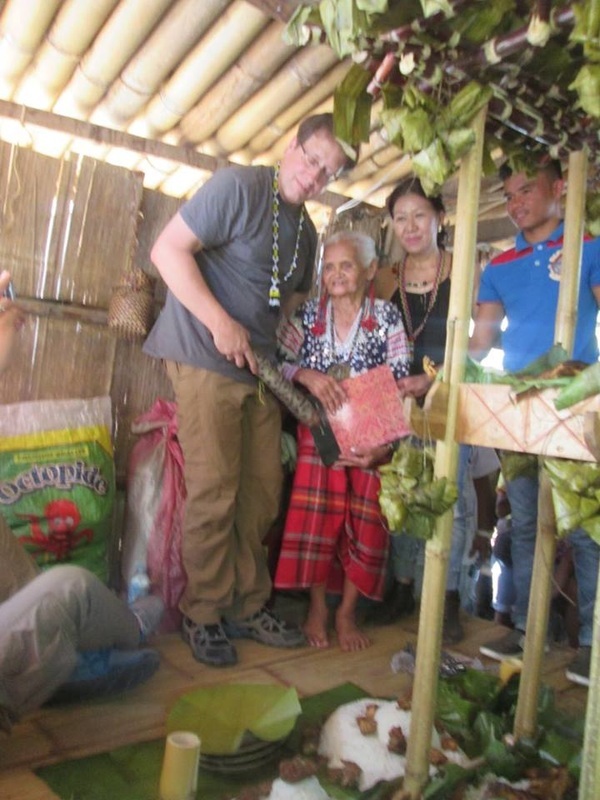 As Fu Yabing’s way of honoring him as guest and Tabih collector, there was a symbolic blessing of Sluntay (traditional banquet prepared by the members of the Kalyak Blaan Care Group) by Fu Yabing to Craig through exchanges of presents. 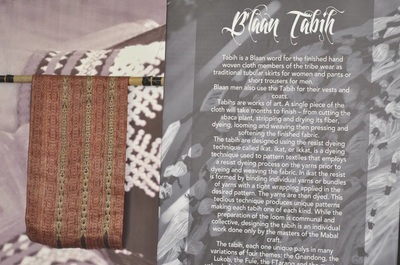 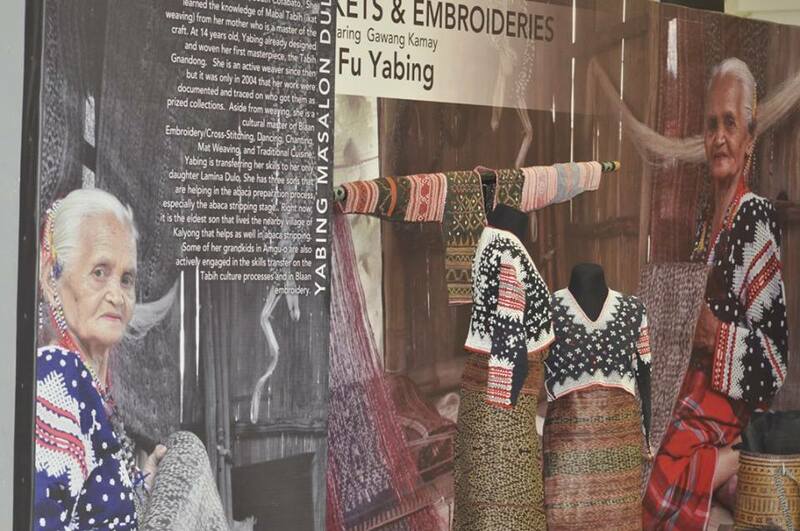 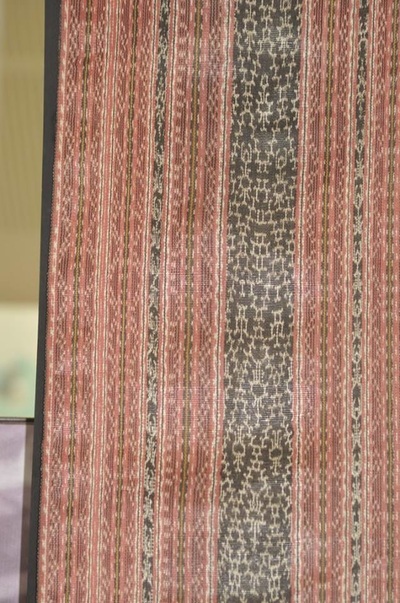 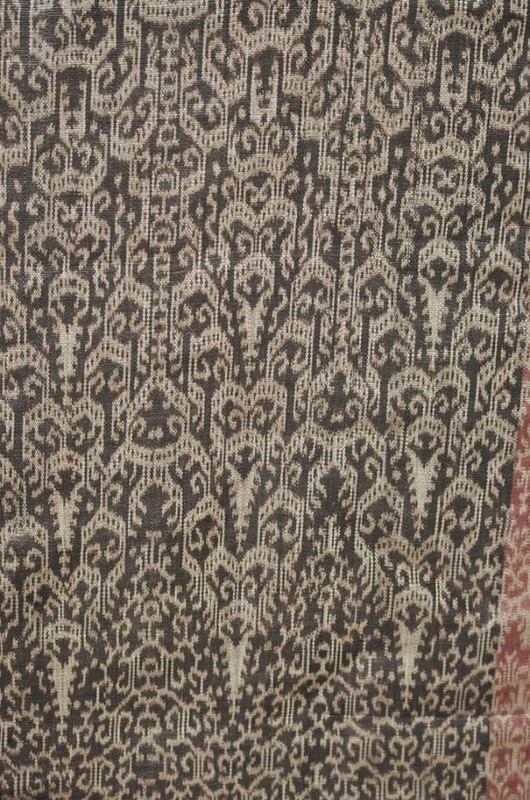 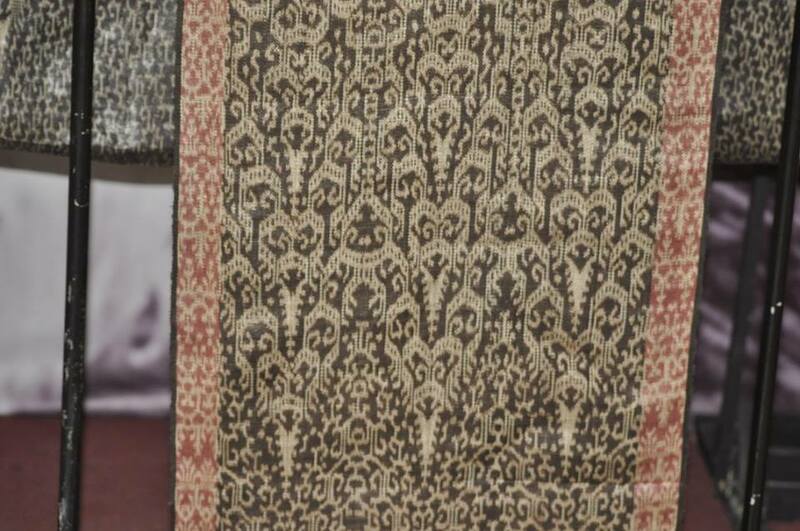 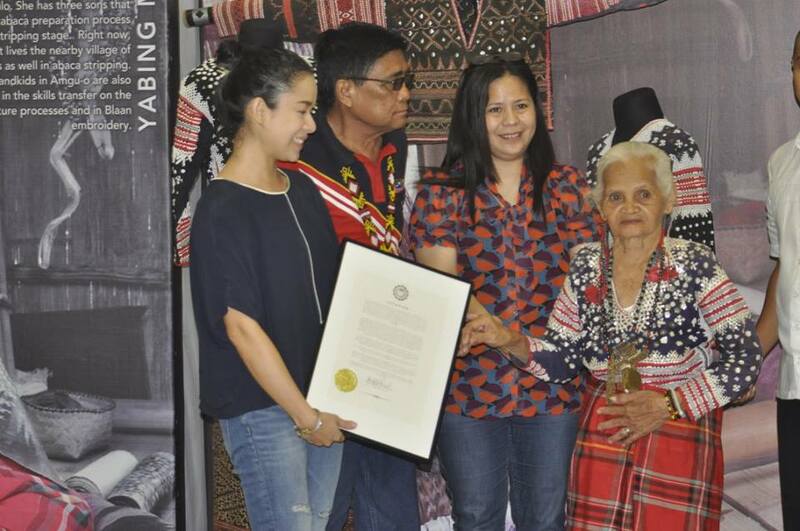 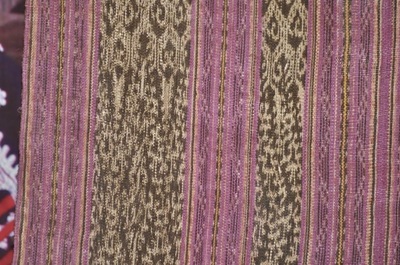 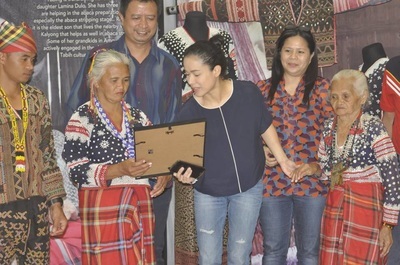 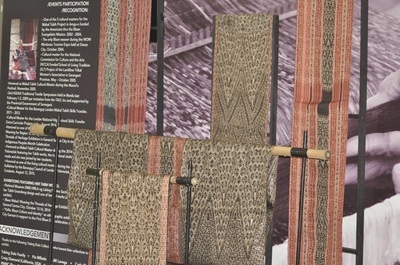 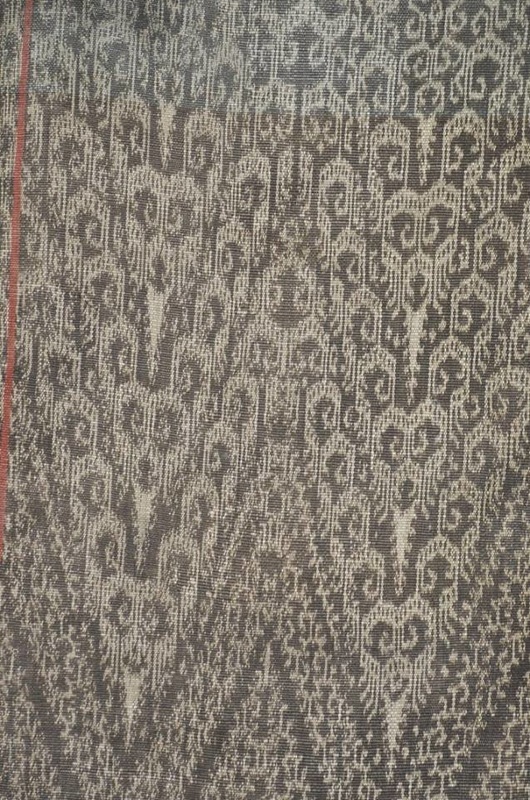 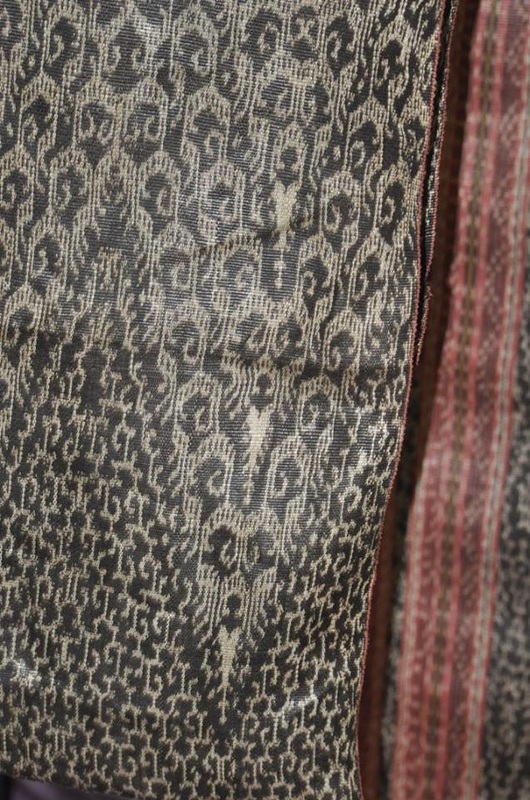 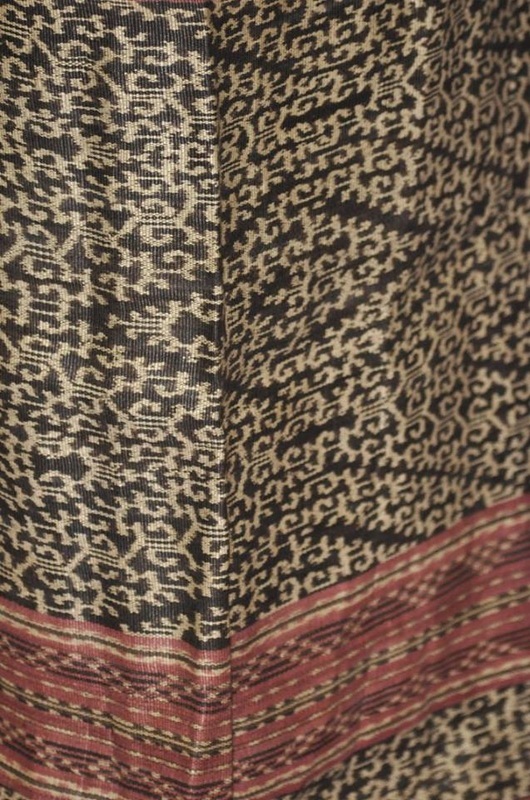 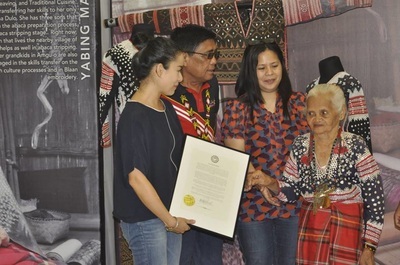 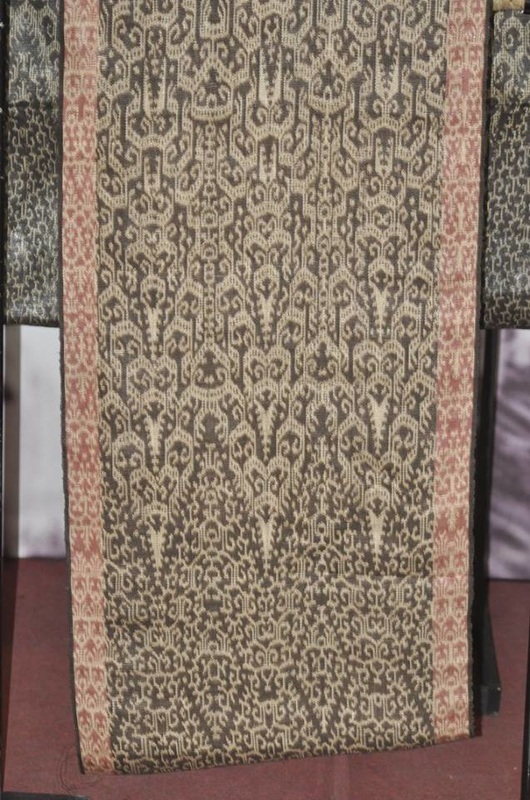 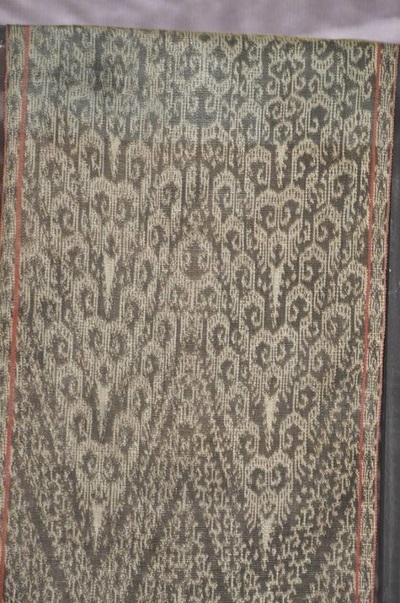 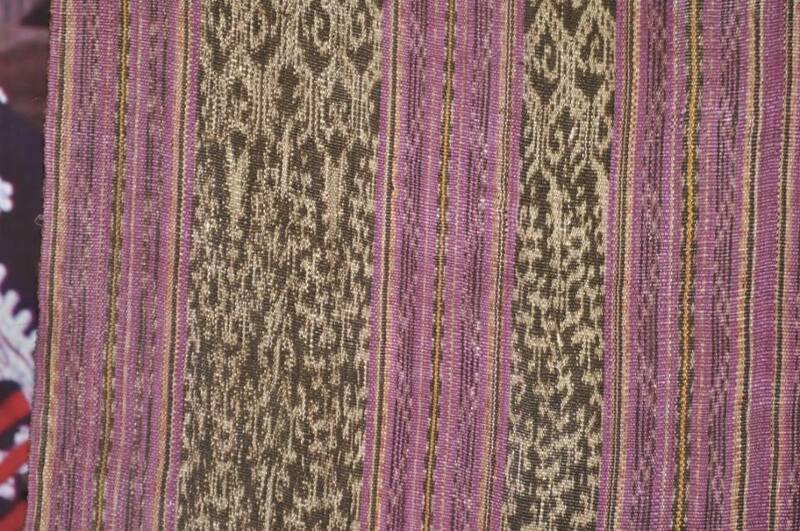 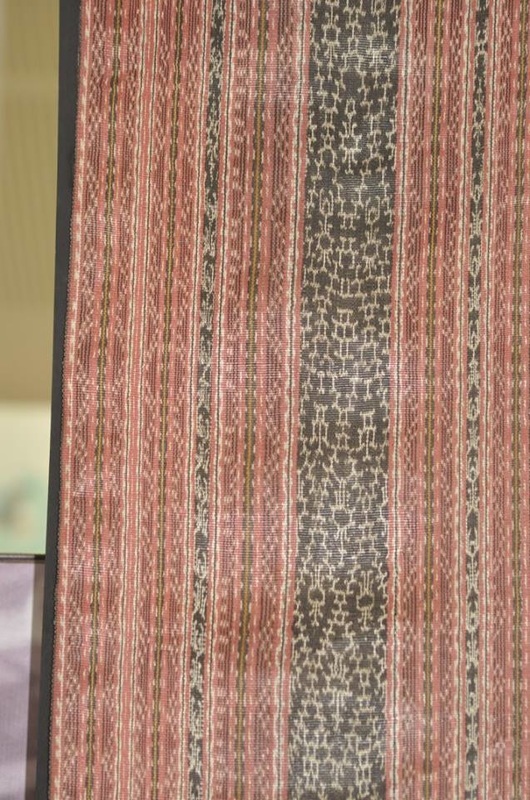 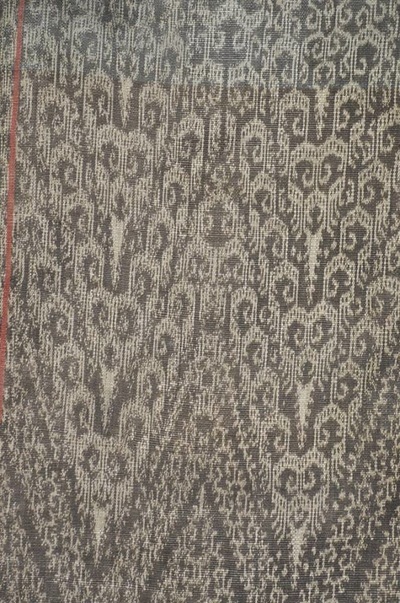 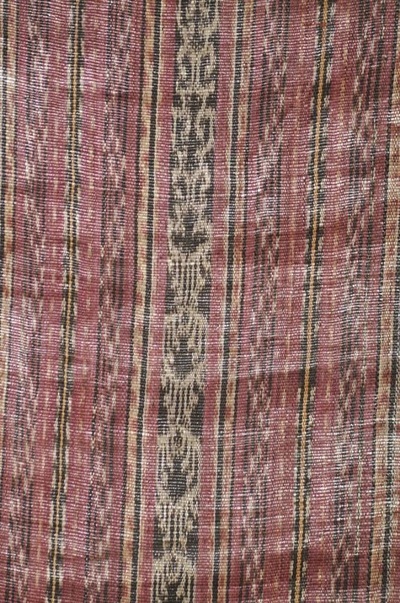 Fu Yabing turned over the Tabih Amlatoh order of Craig and Craig responded by giving her the Roy Hamilton book (From the Rainbow's Varied Hue: Textiles of the Southern Philippines). Craig did the ceremonial opening of the banquet and give food portions from the Sluntay to Fu Yabing, the guests and then community members are then enjoined to partake the banquet. 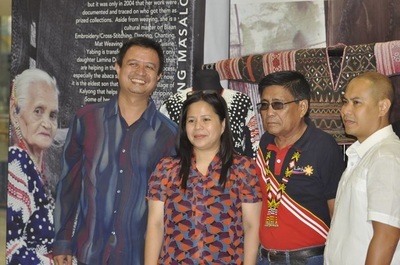 Thanks you/Bong Salamat to Ms. Gida Ofong for facilitating this visit of Craig. 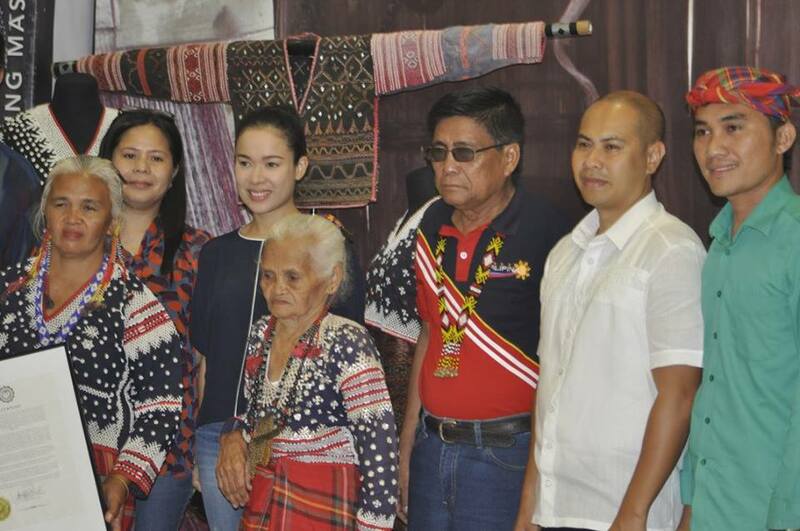 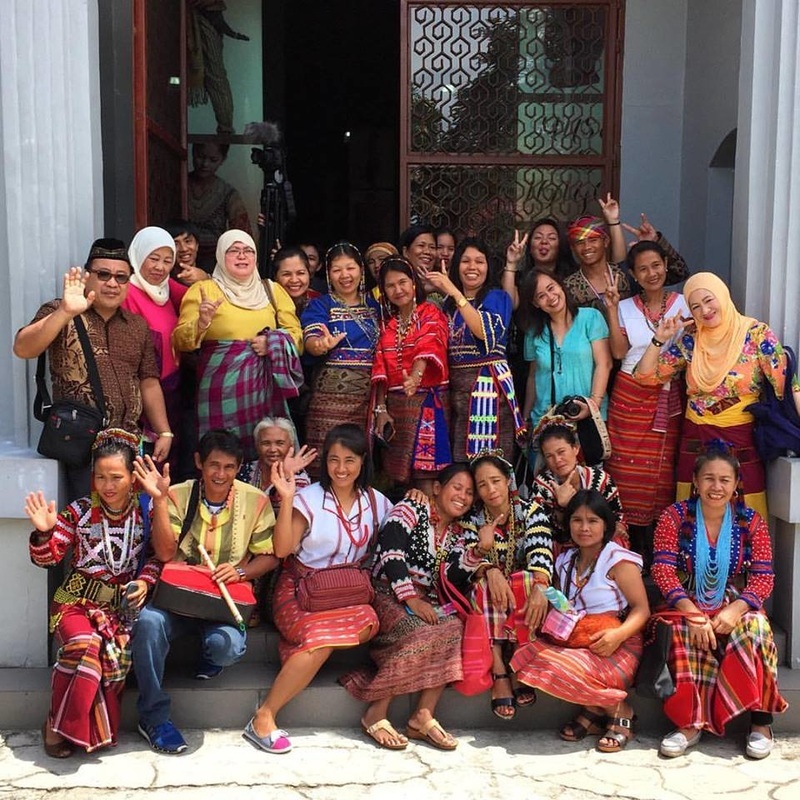 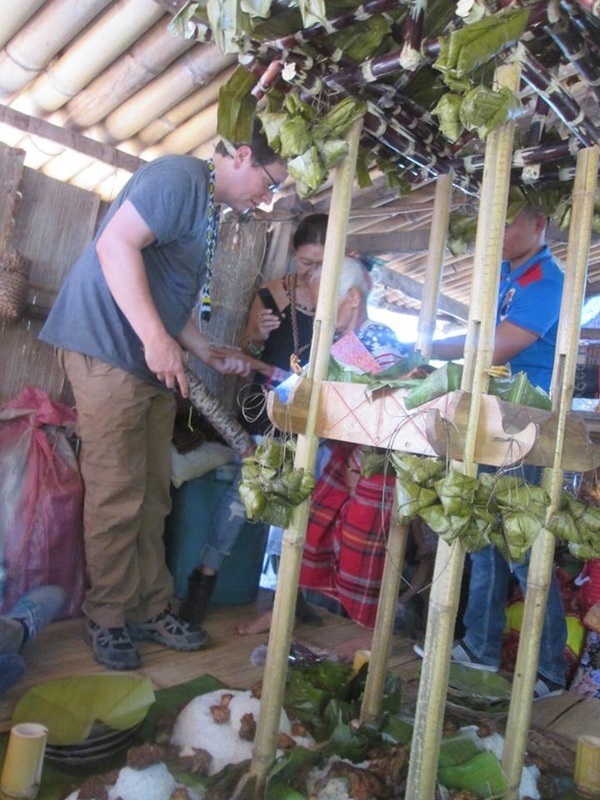 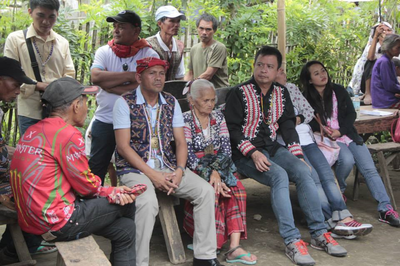 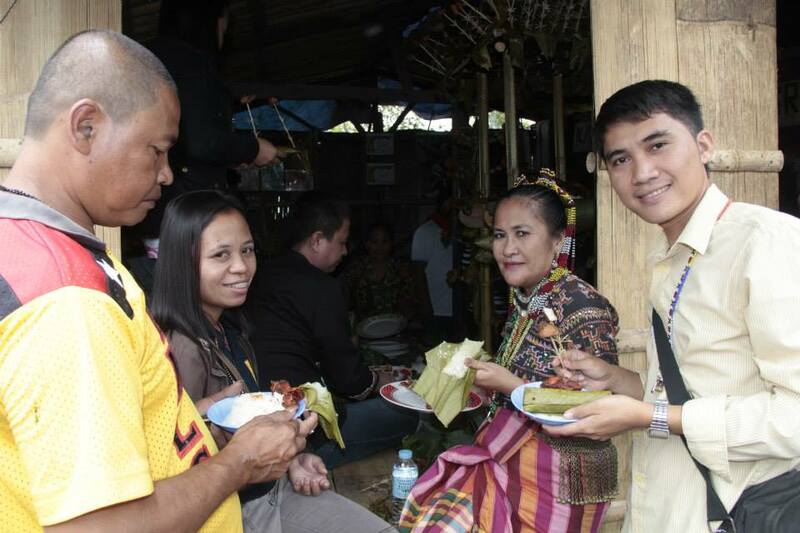 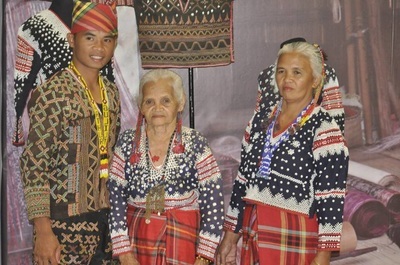 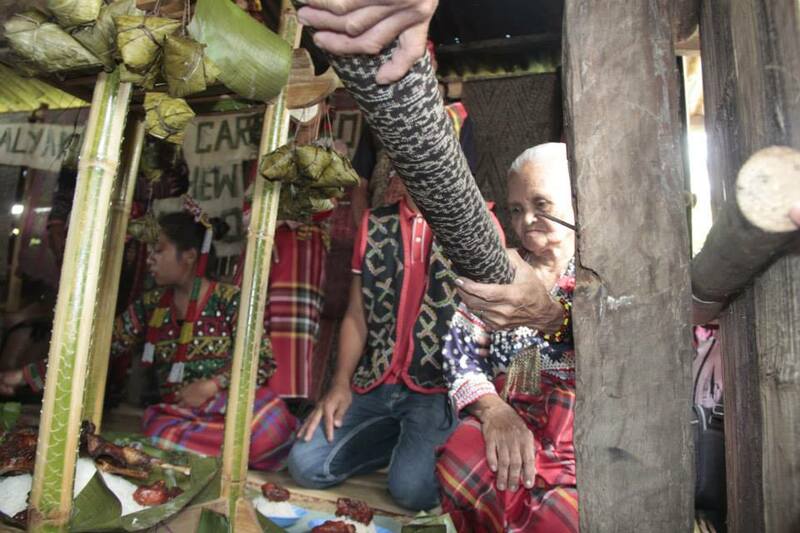 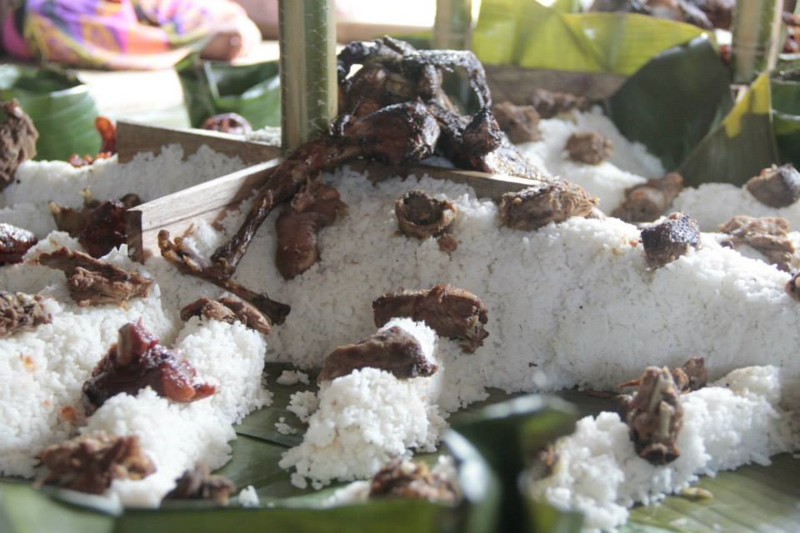 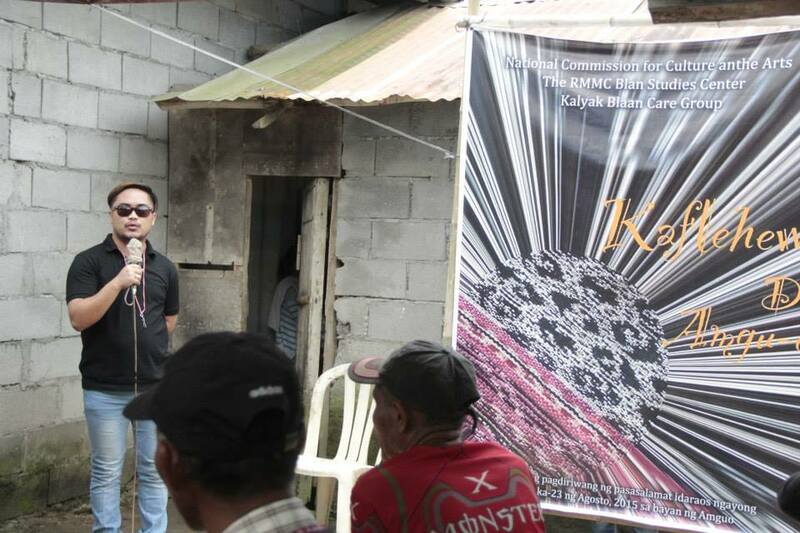 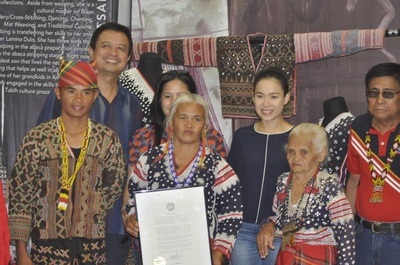 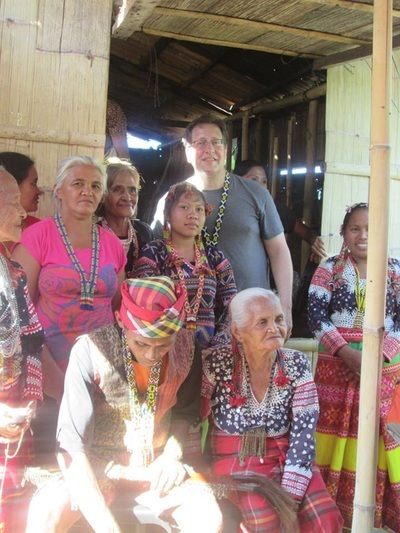 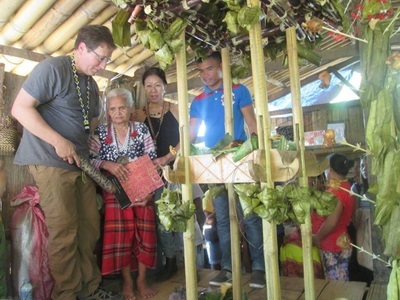 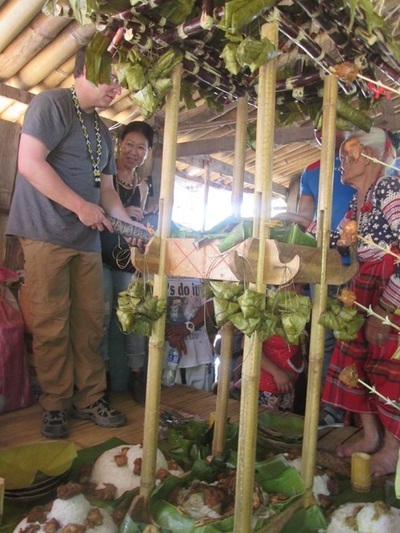 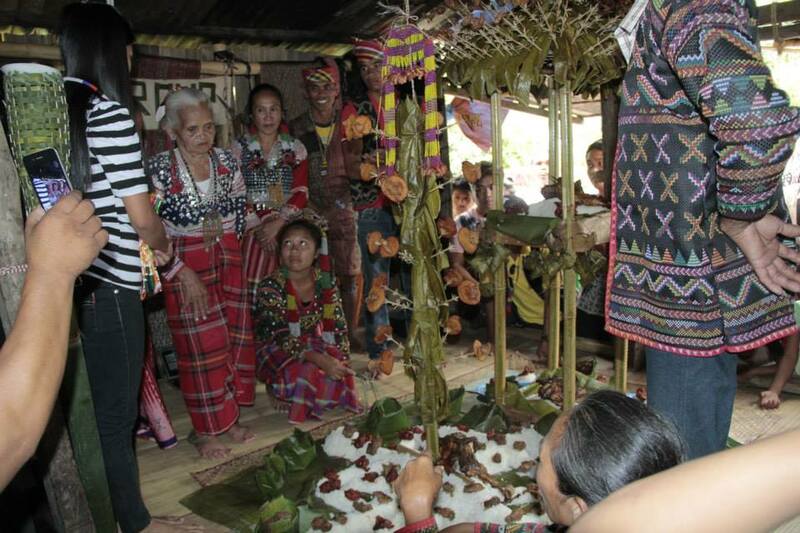 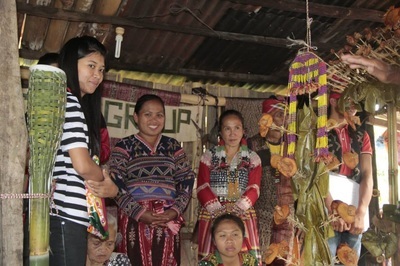 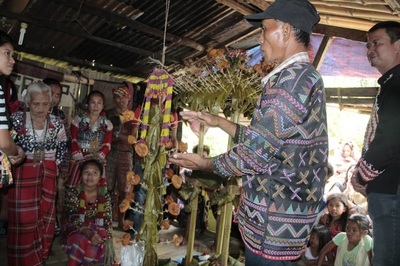 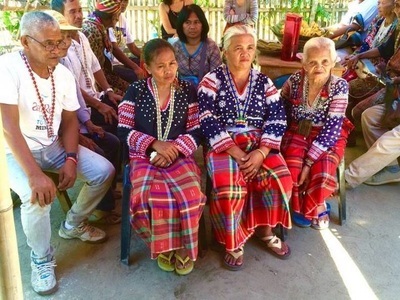 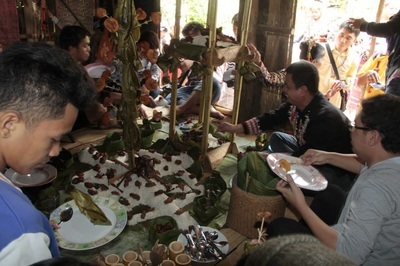 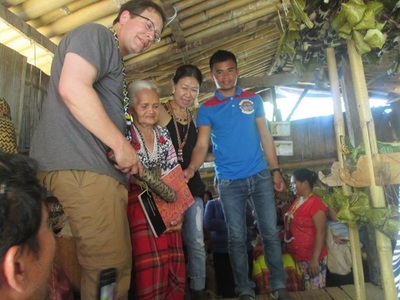 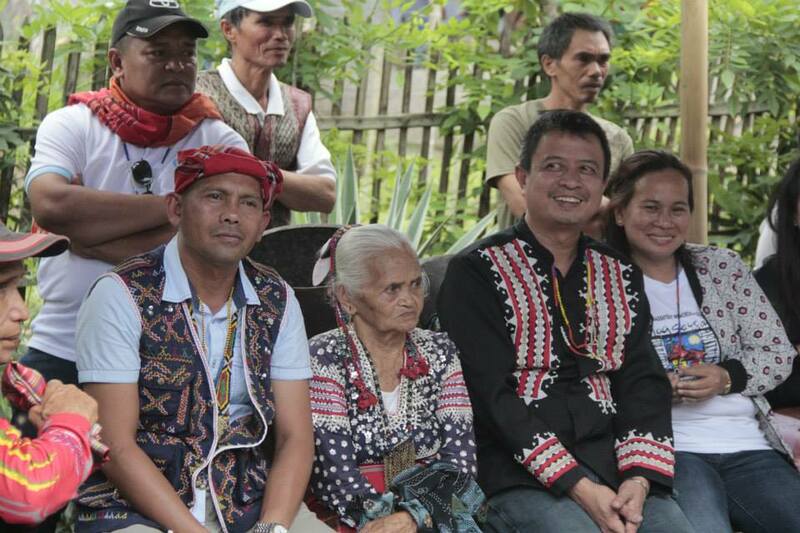 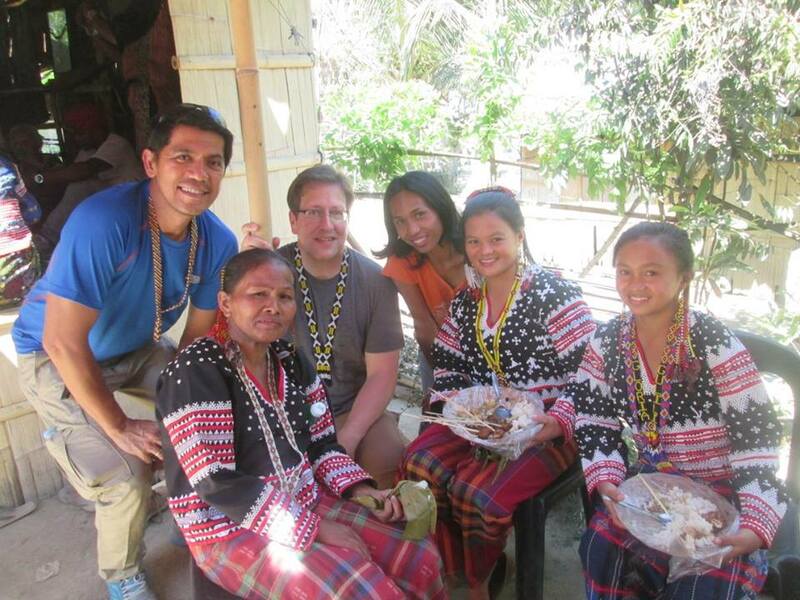 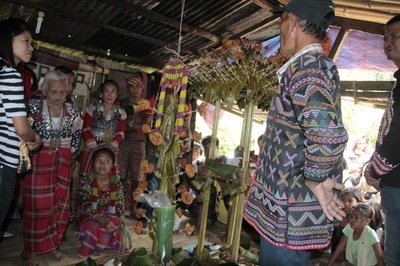 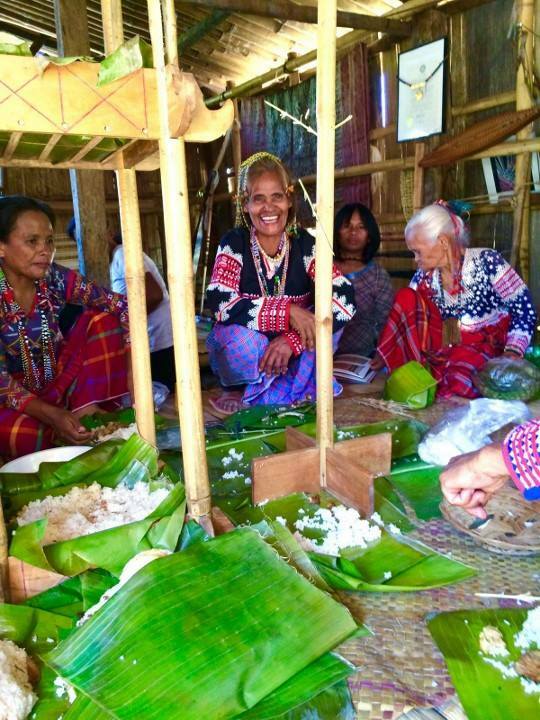 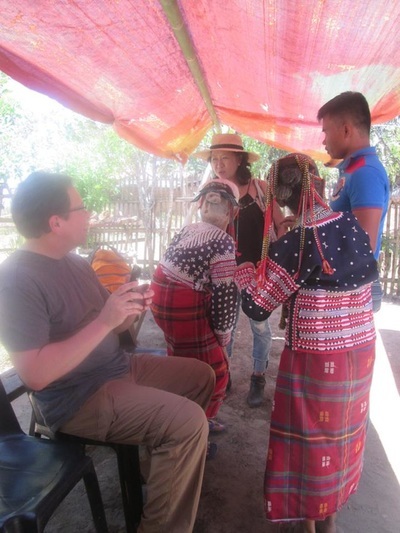 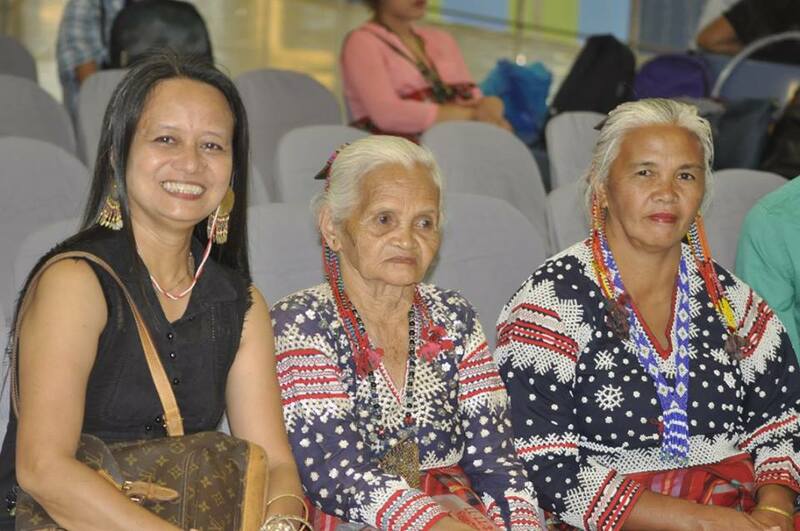 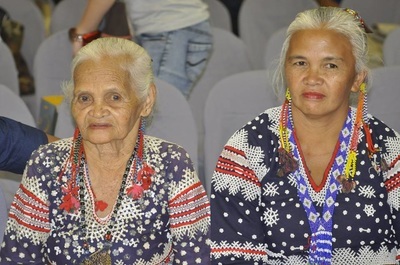 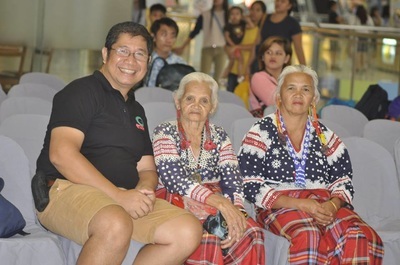 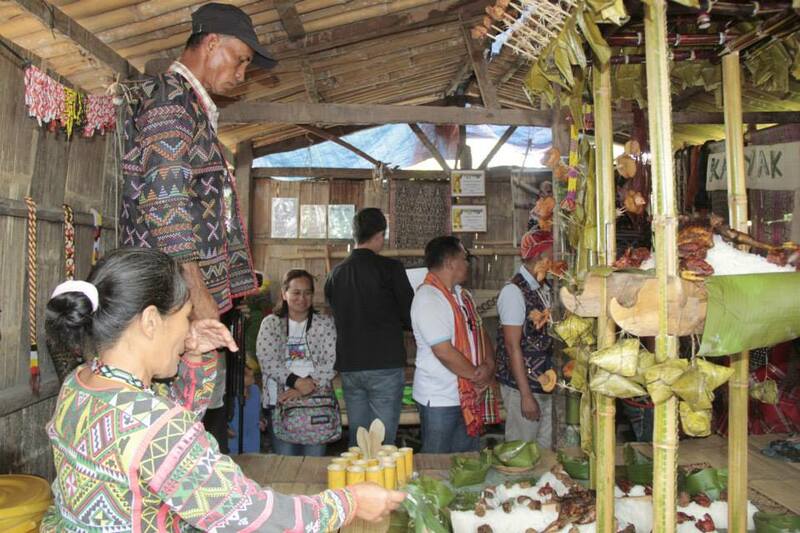 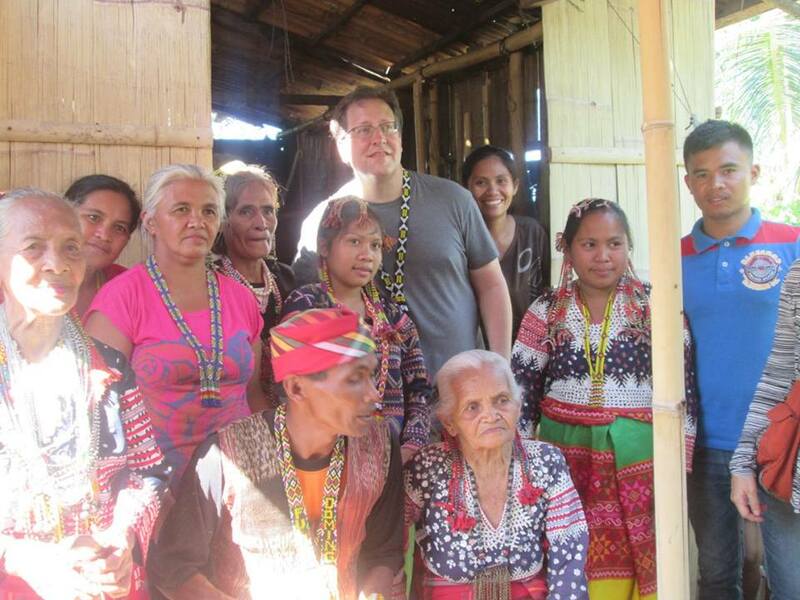 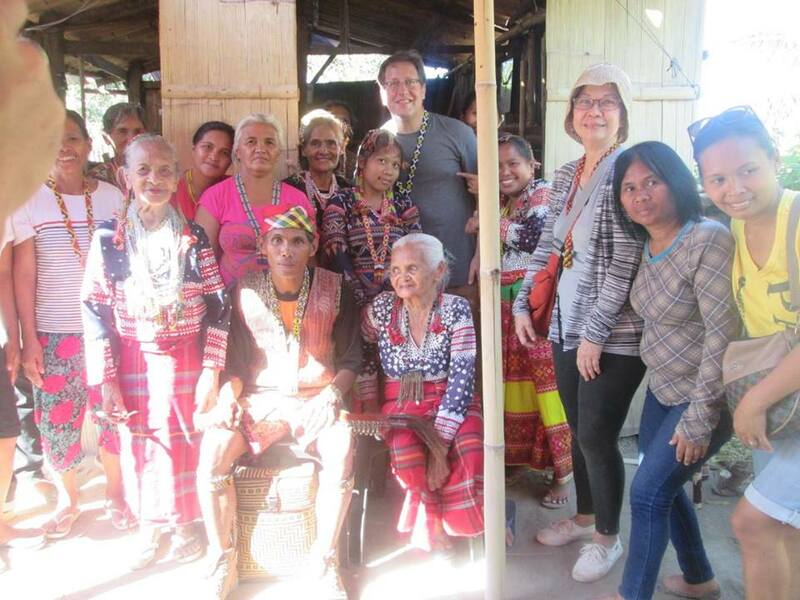 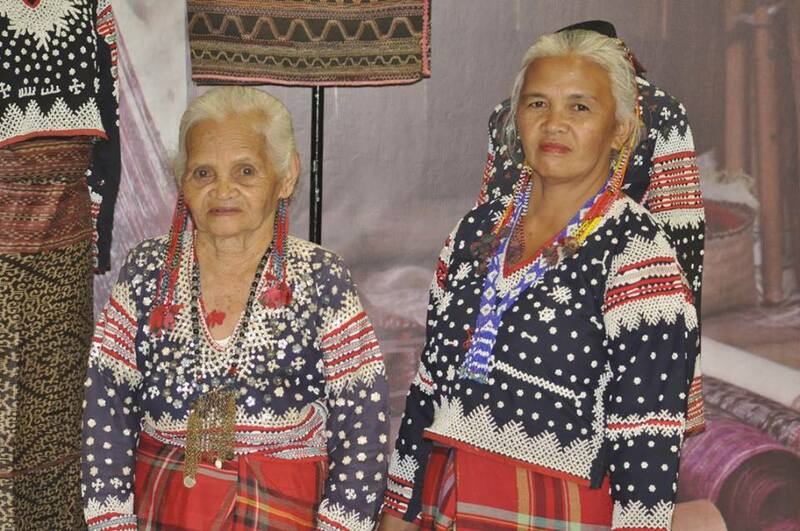 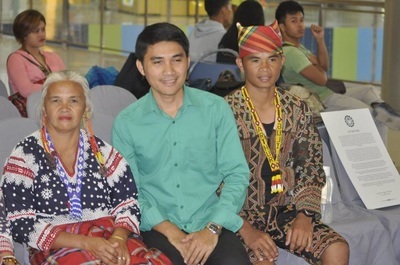 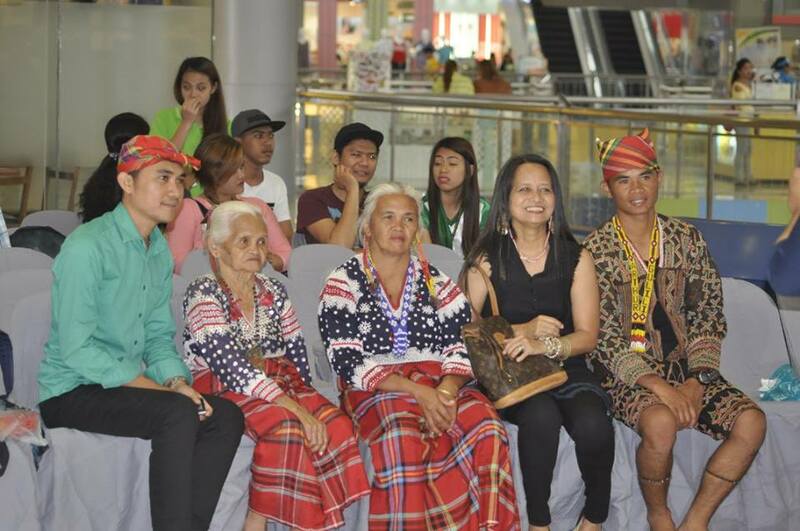 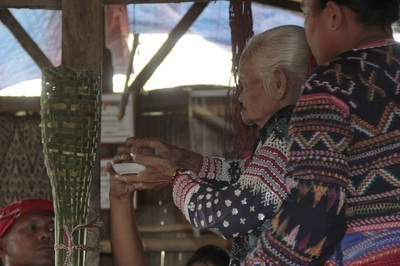 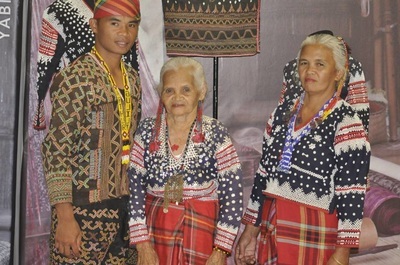 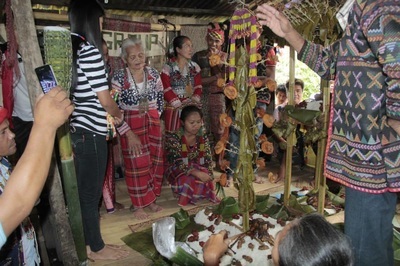 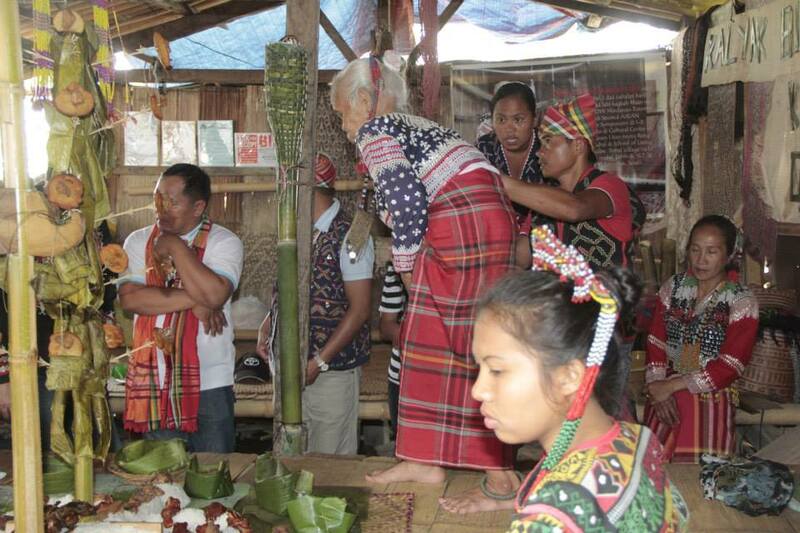 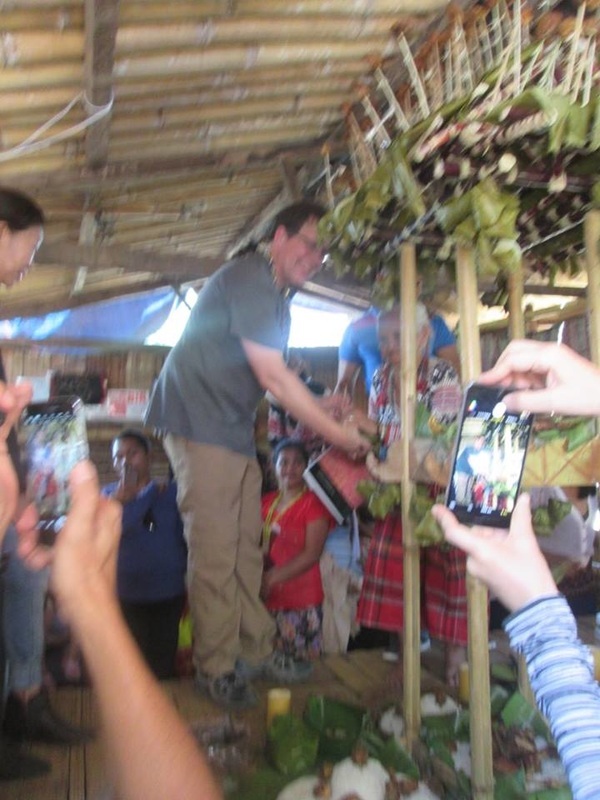 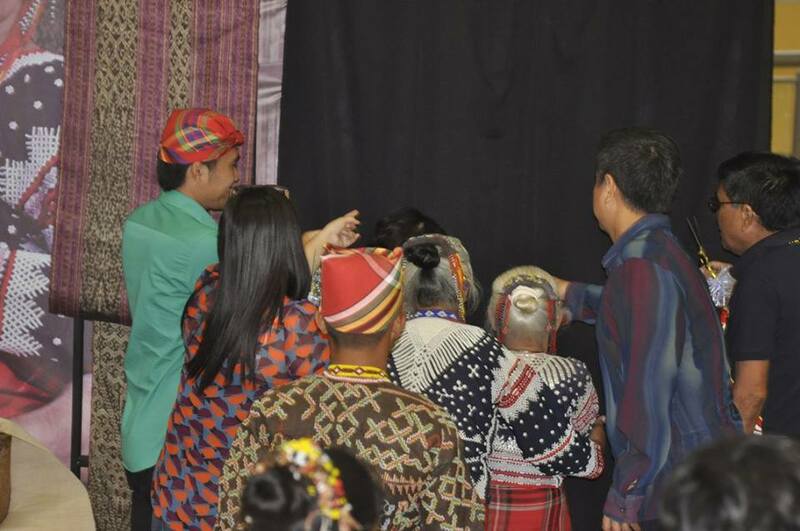 The community members were blessed and appreciated the visit, the interaction and sharing of the Blaan culture to the guests (including Dr. Pingoy and husband). 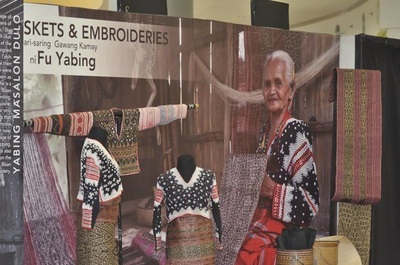 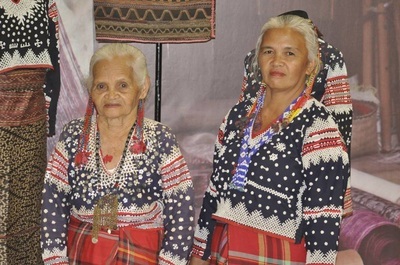 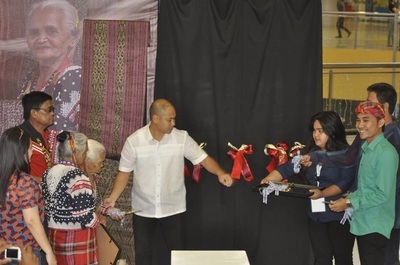 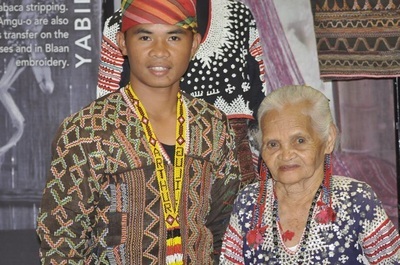 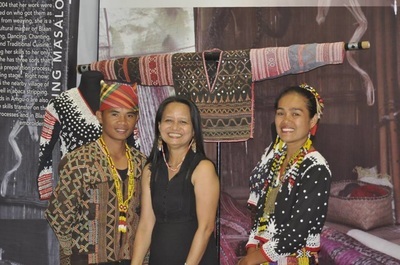 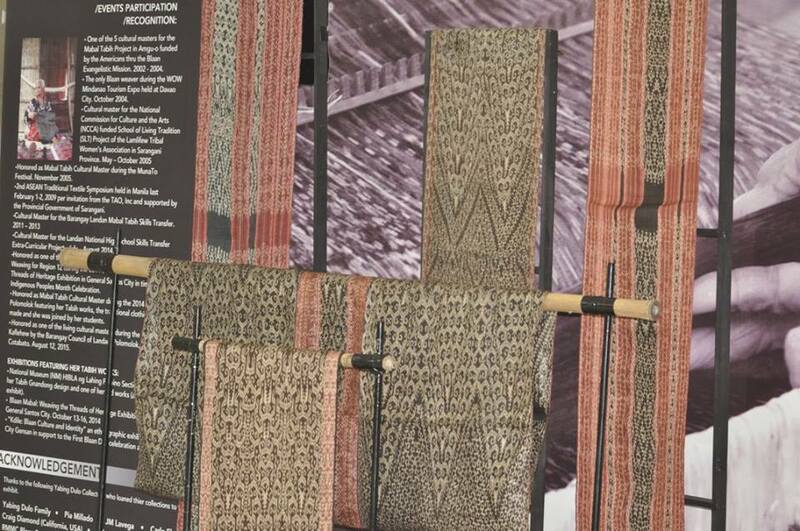 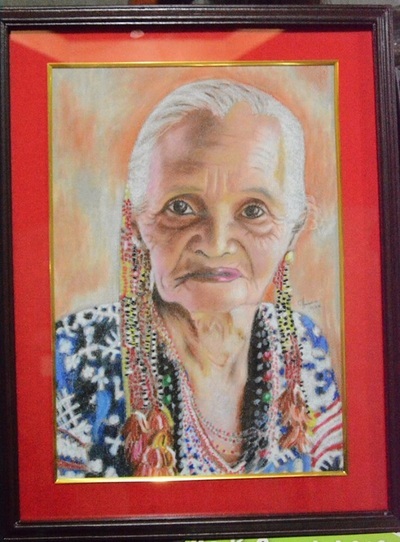 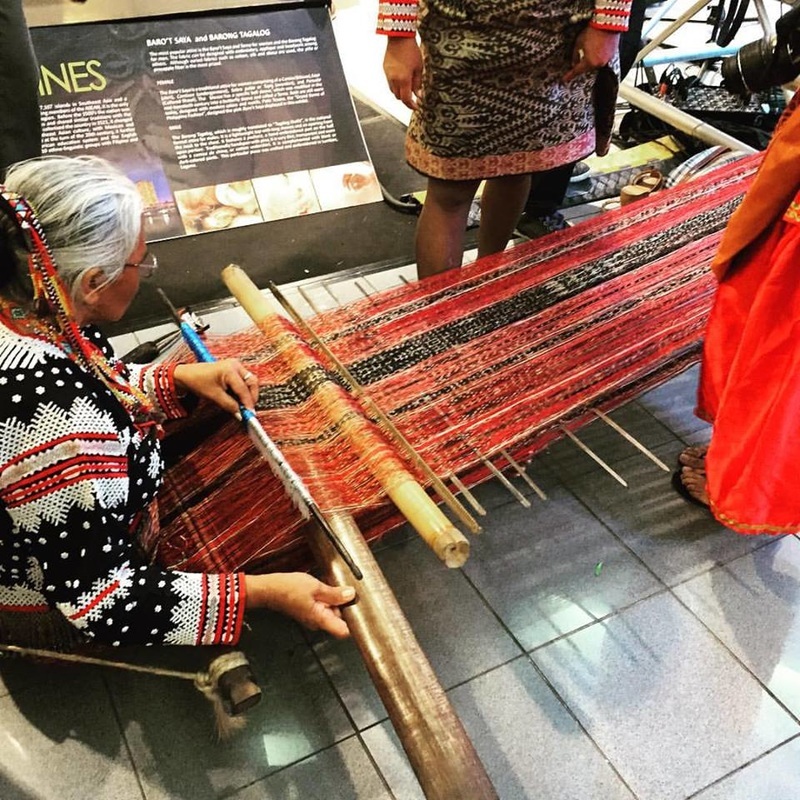 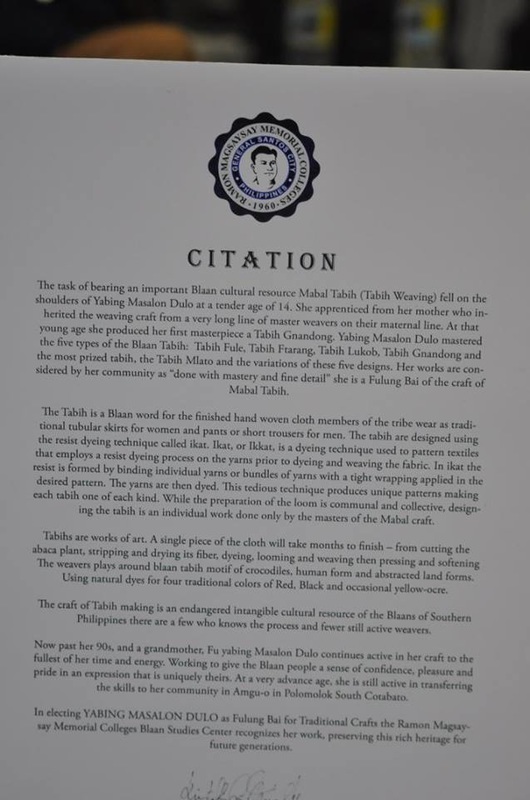 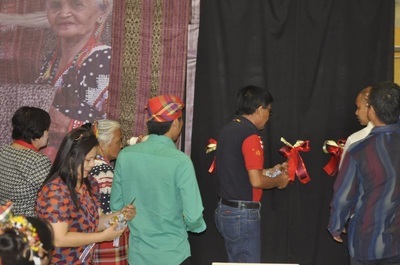 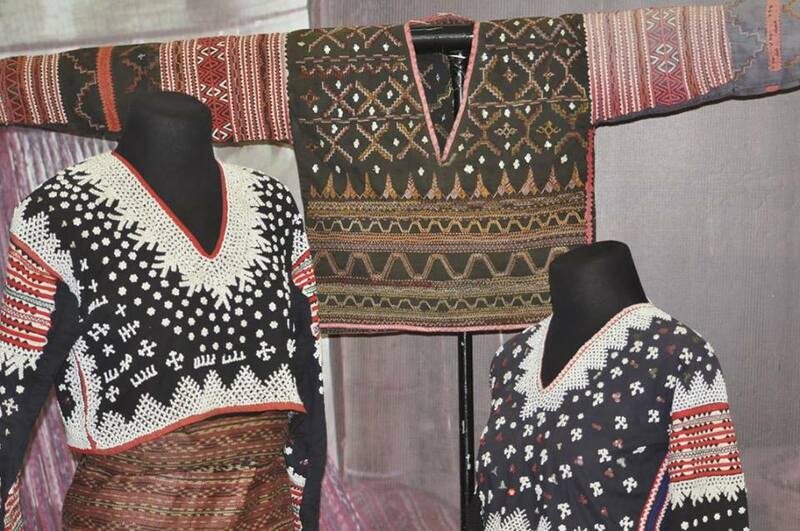 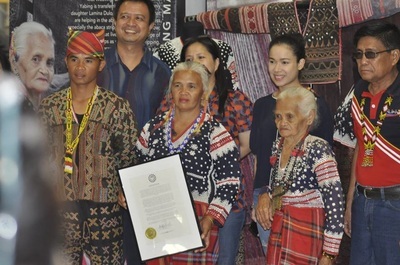 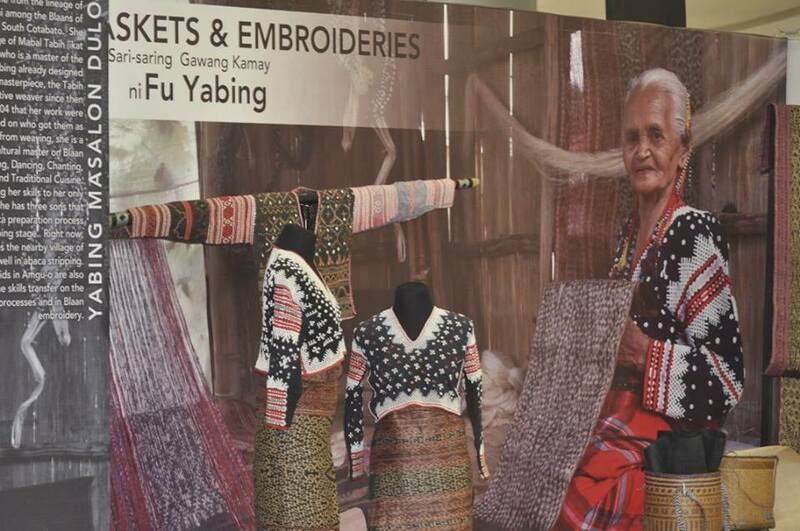 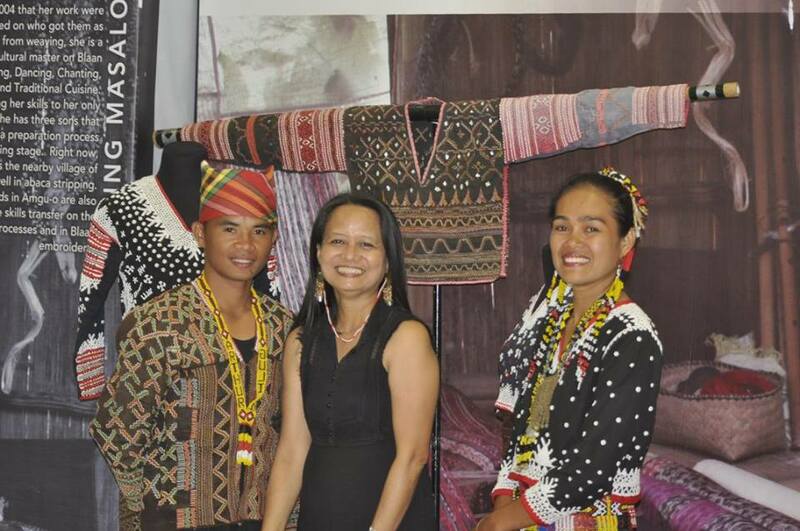 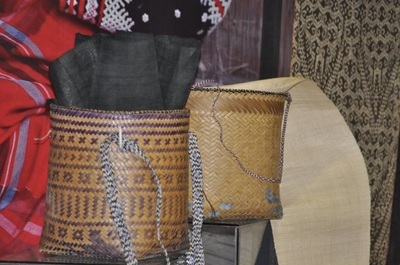 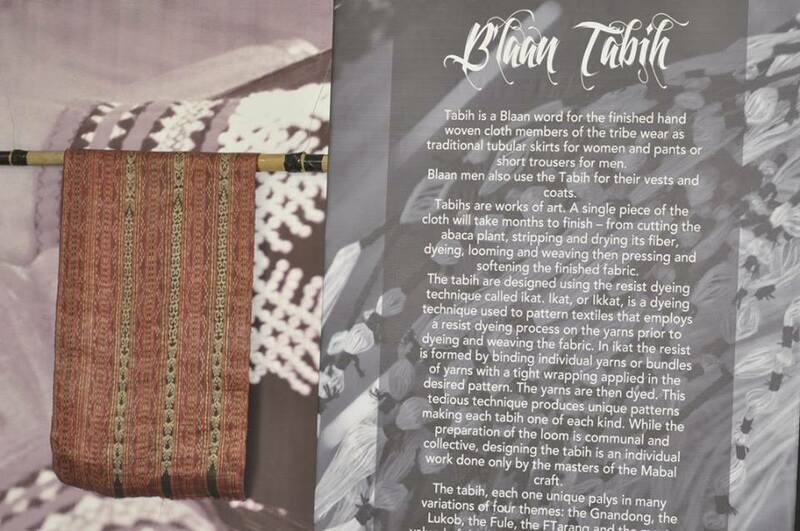 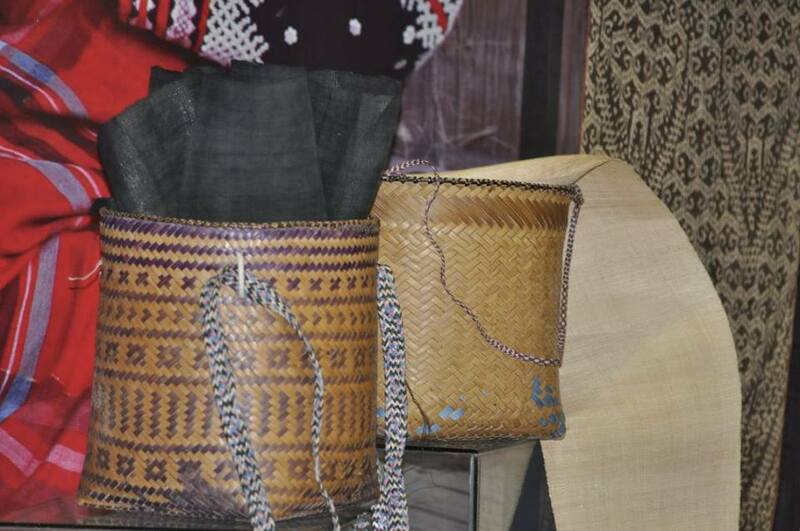 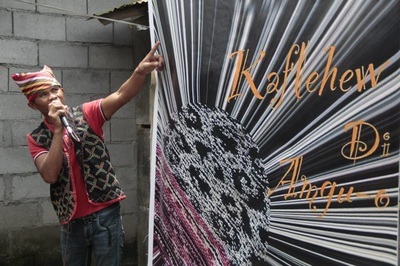 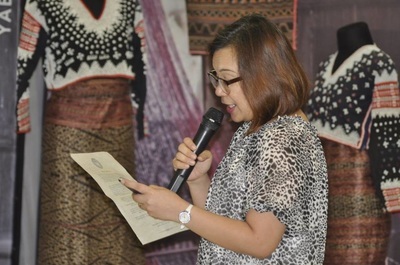 The exhibition was made possible in partnership with Ramon Magsaysay Memorial Colleges (RMMC) Blaan Studies Center, Kalyak Blaan Care Group, SM Gensan and the Department of Tourism Region 12. 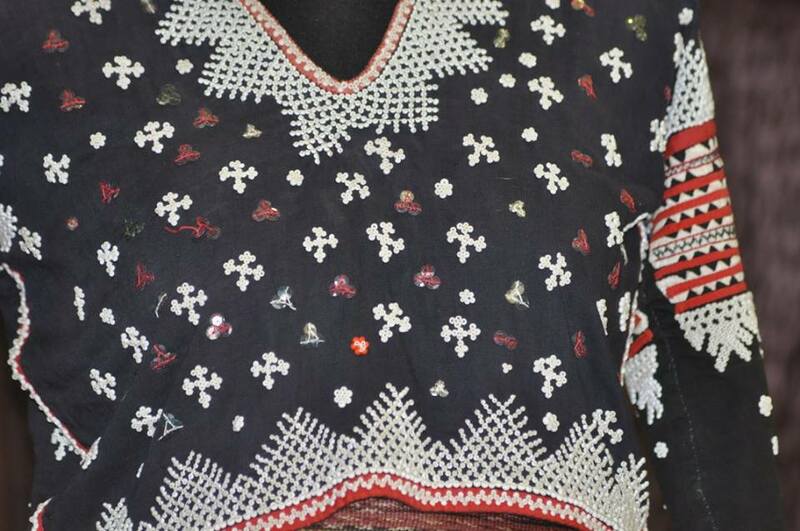 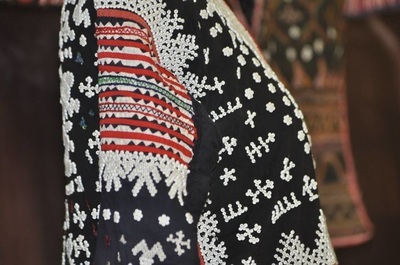 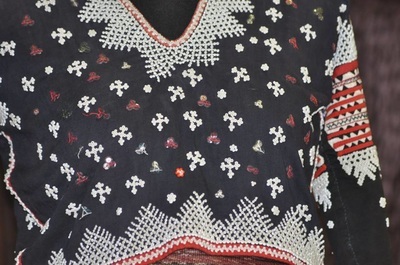 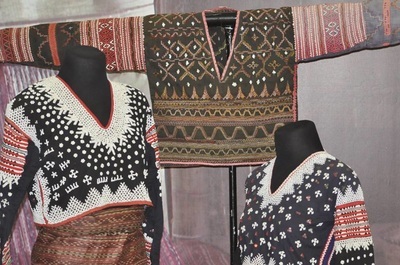 Kalyak Blaan Care Group is blessed to have 3 cultural masters doing respective skills transfer of their crafts to community members. 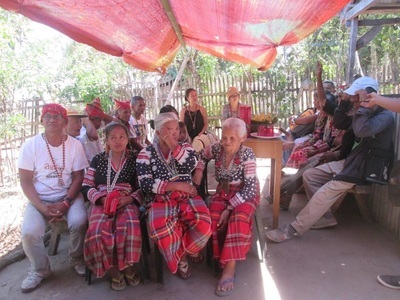 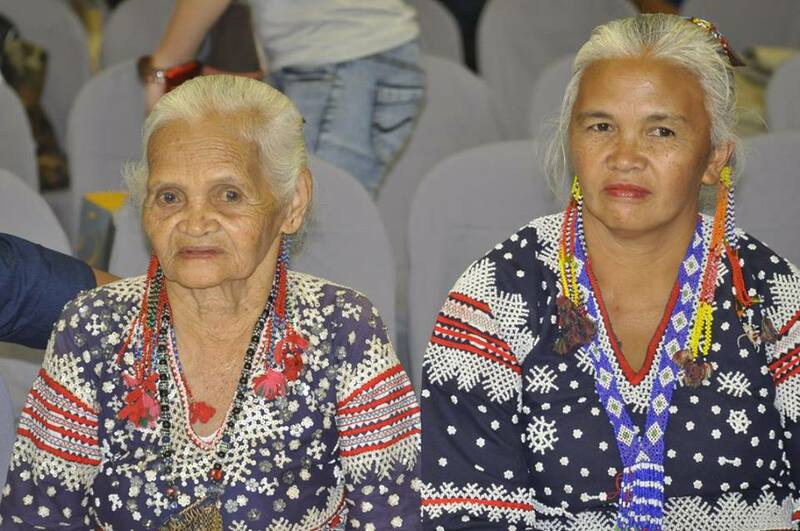 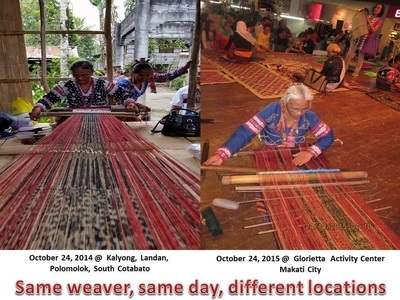 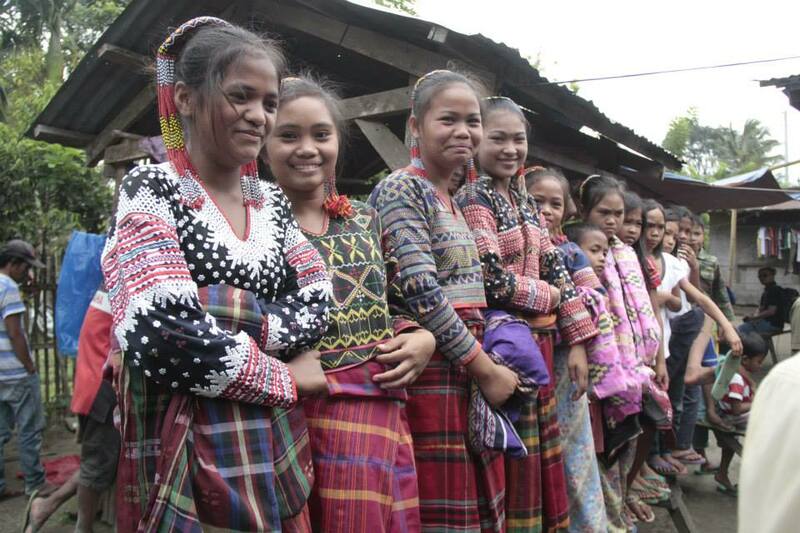 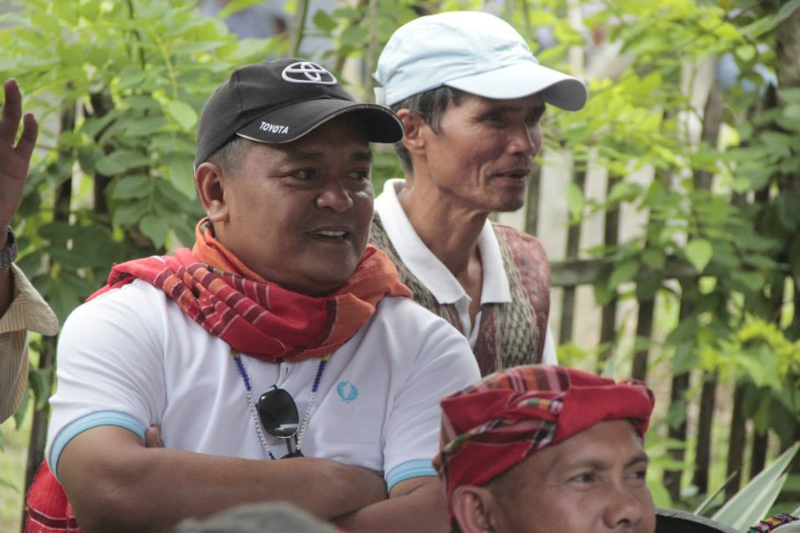 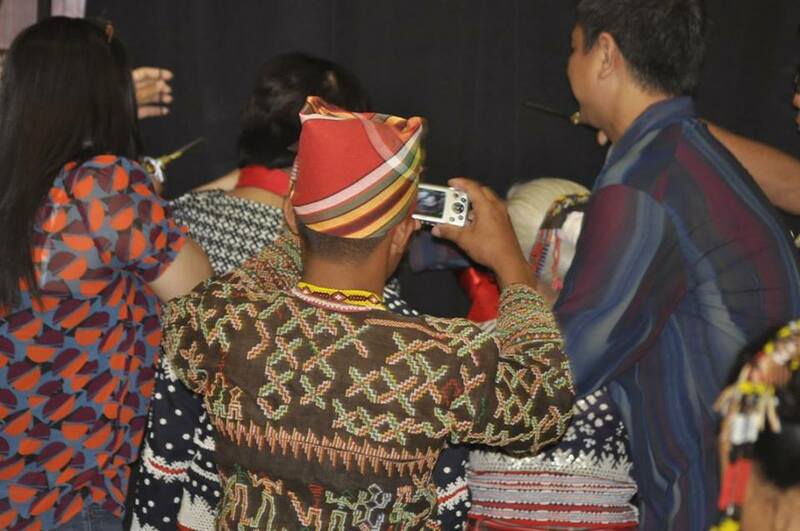 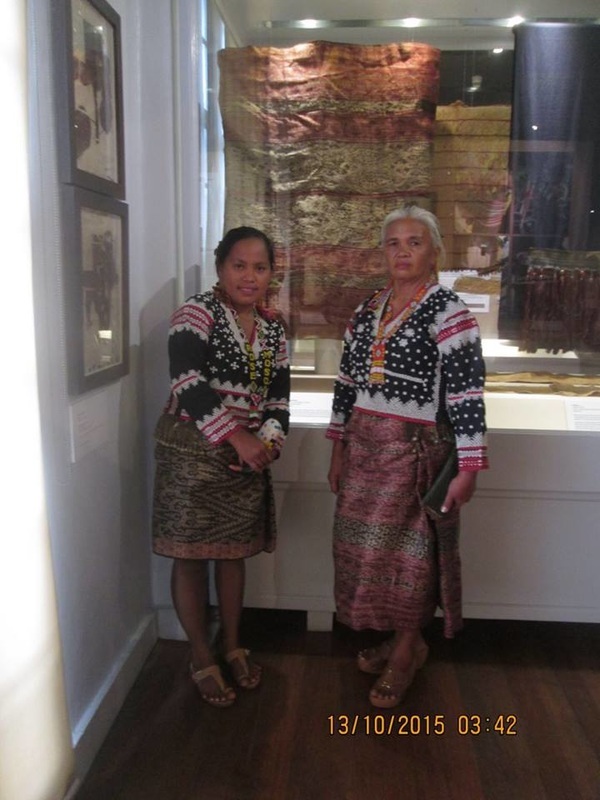 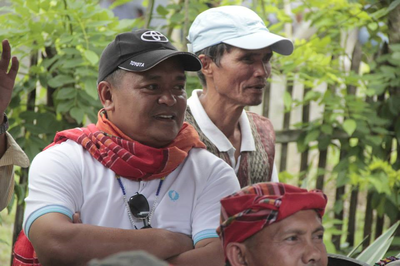 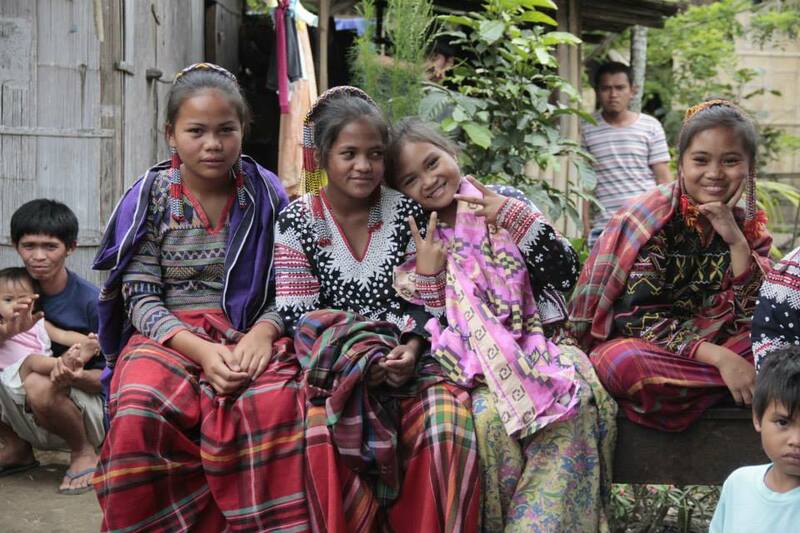 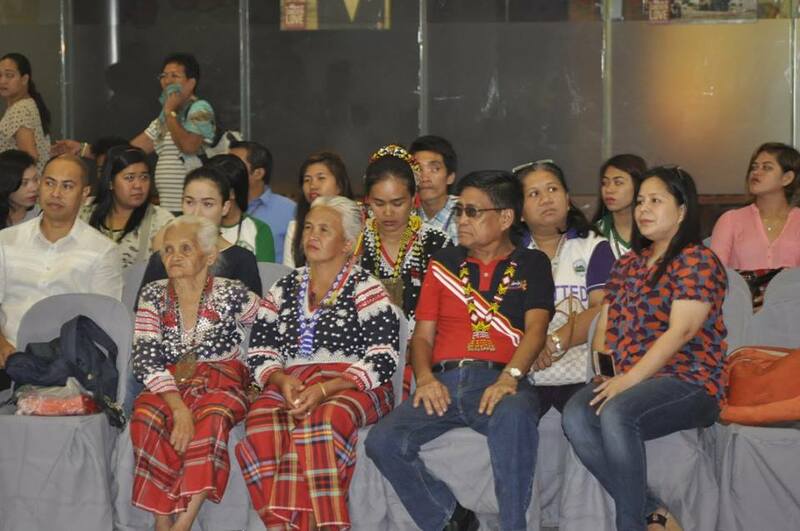 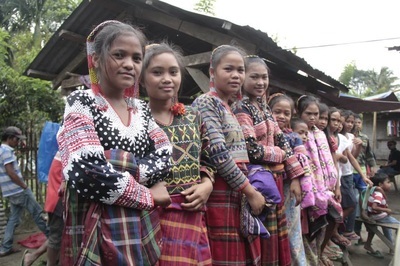 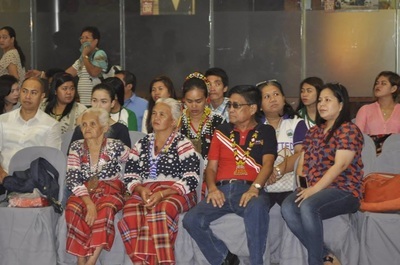 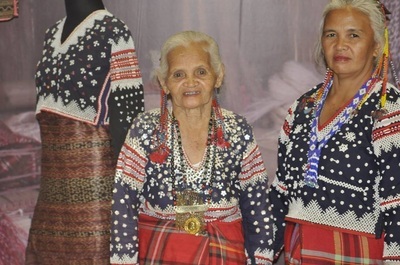 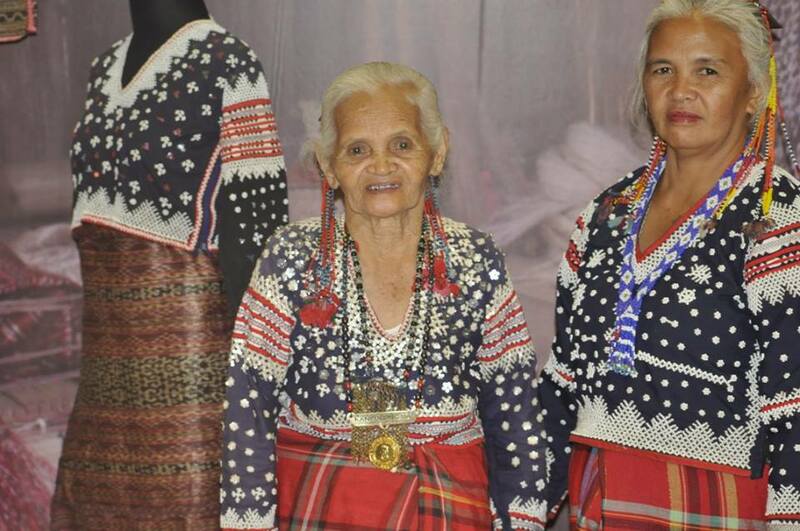 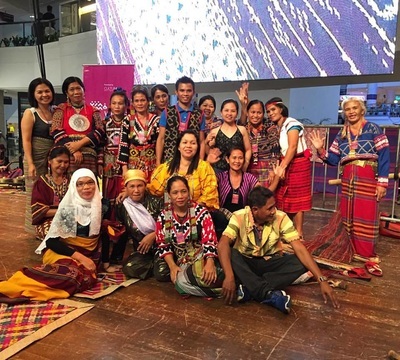 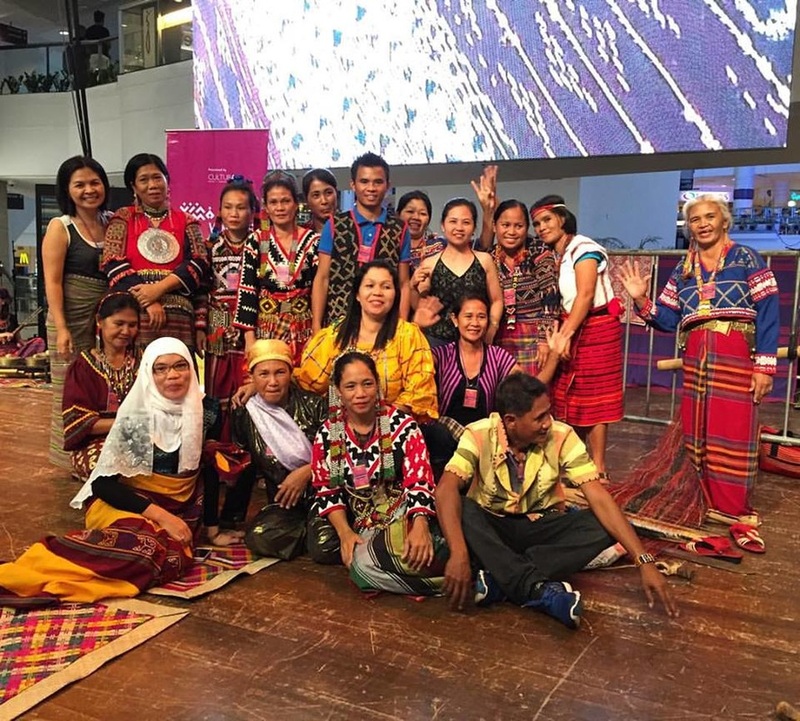 They were honored and recognized by the Local Government unit of Landan during the 3rd Kaflehew/Blaan Day celebration on August 9, 2015. 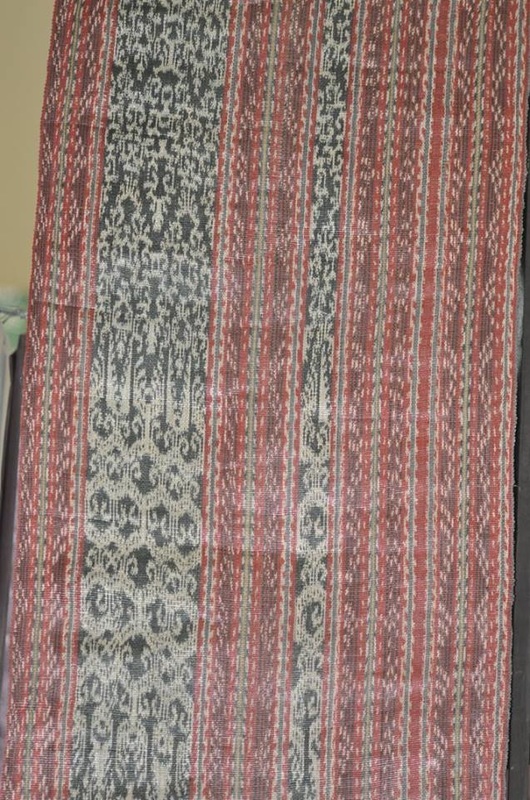 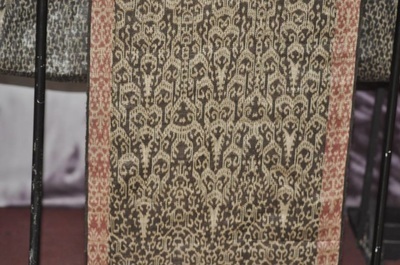 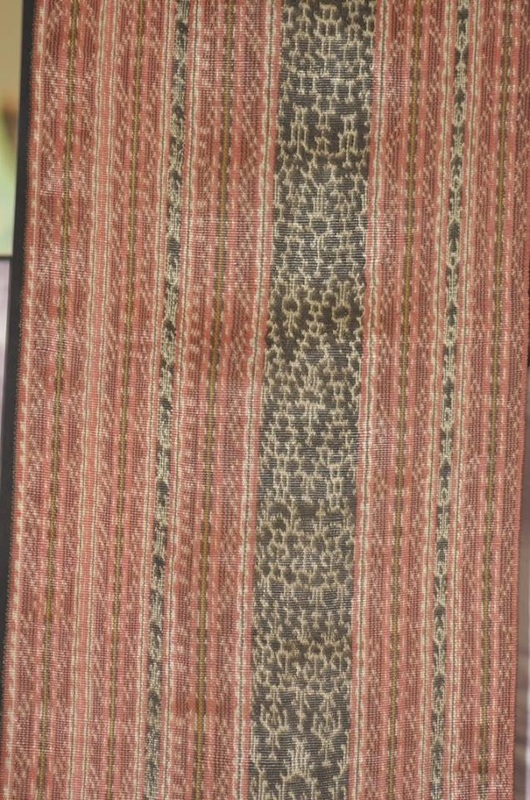 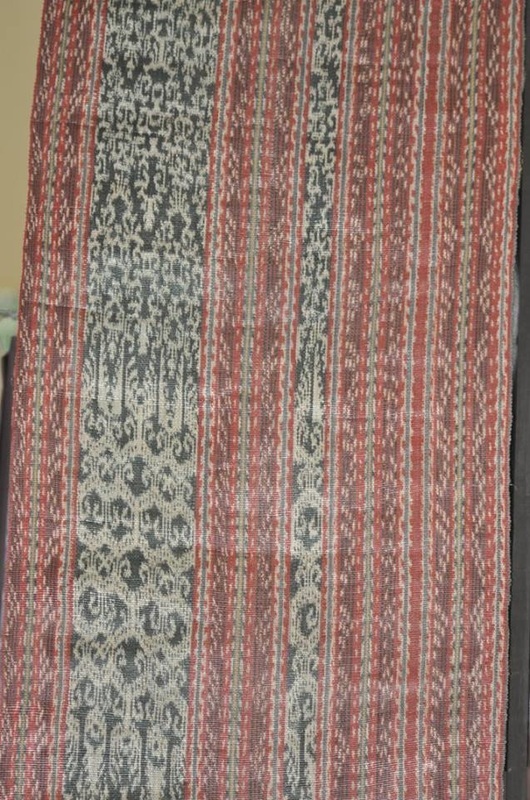 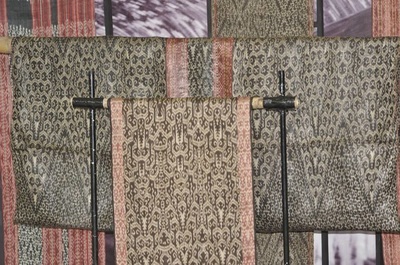 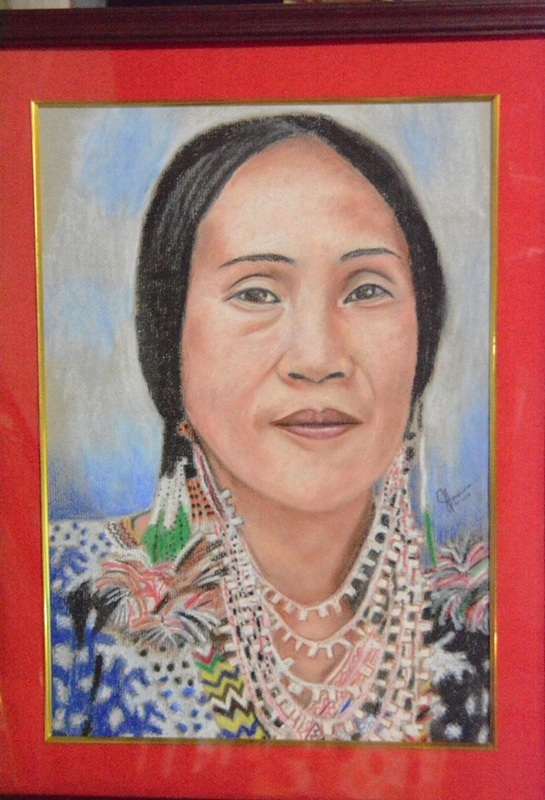 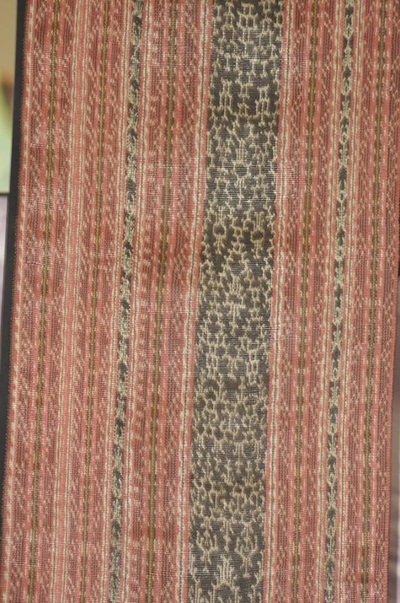 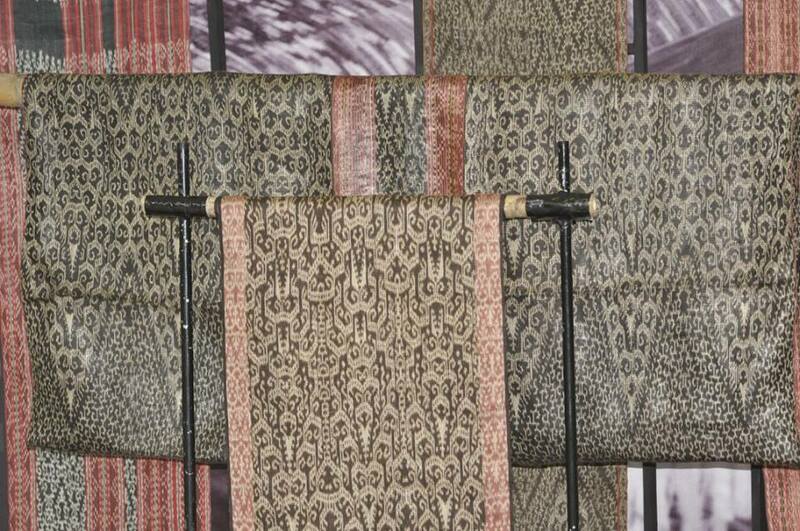 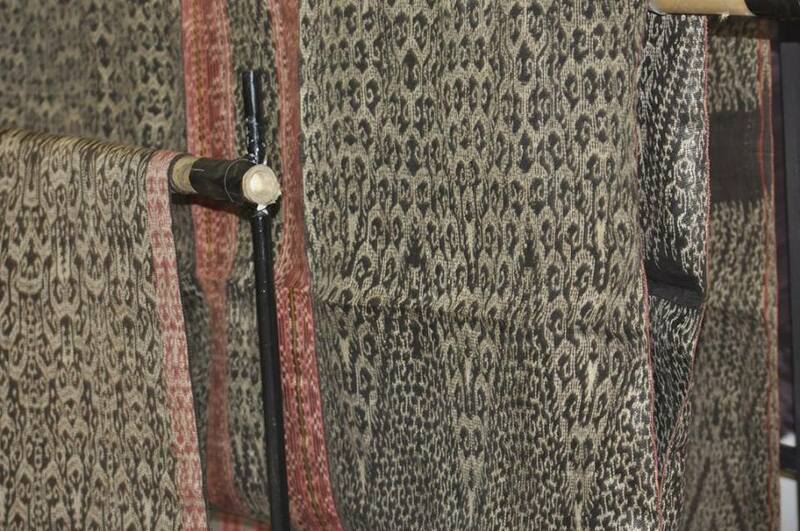 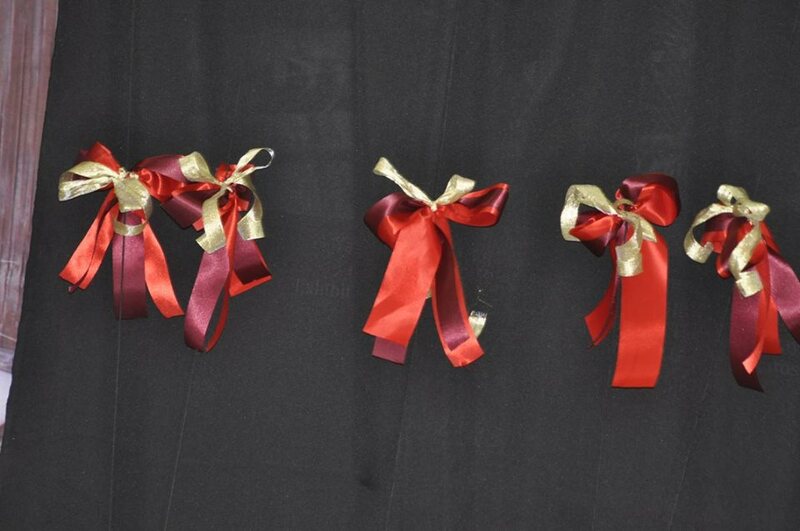 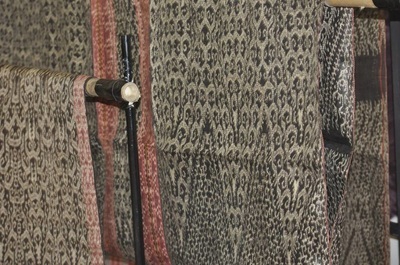 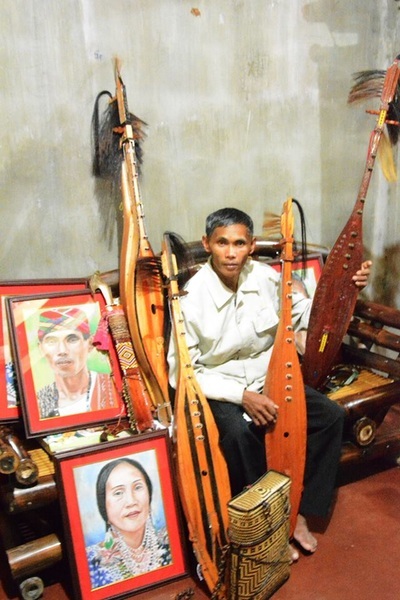 From Left to Right (painting done by Josseth Malida): Gulmari Maladianon (cultural master in bead works), Fu Yabing Masalon Dulo (Mabal Tabih cultural master), Doming Maladianon (Faglung maker & master player). 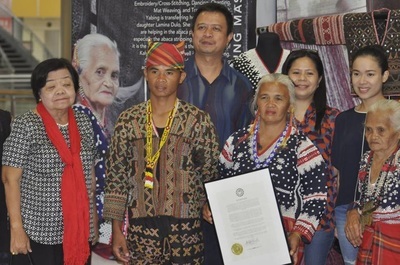 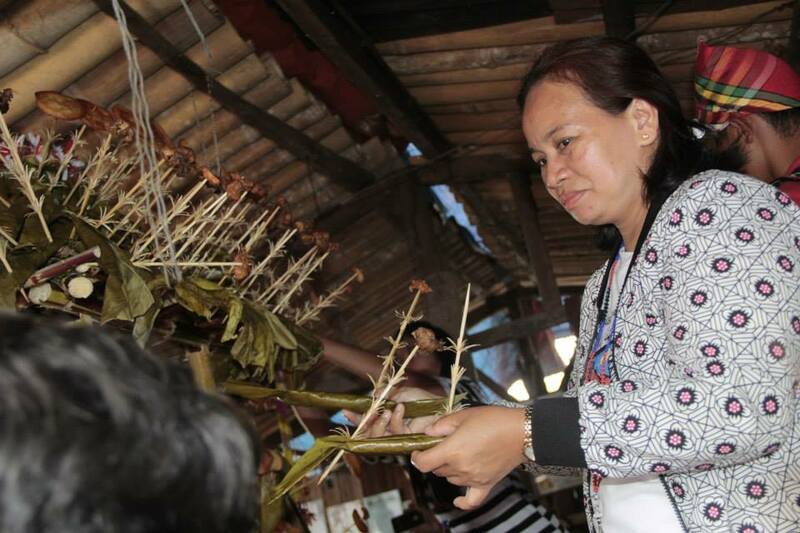 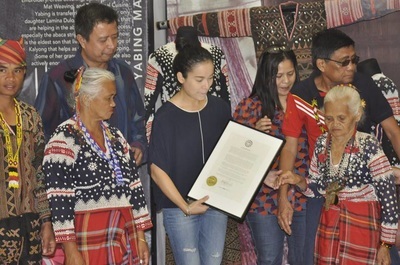 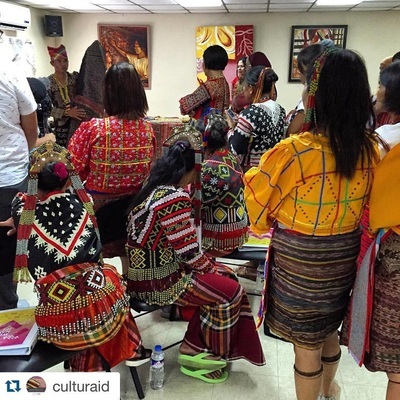 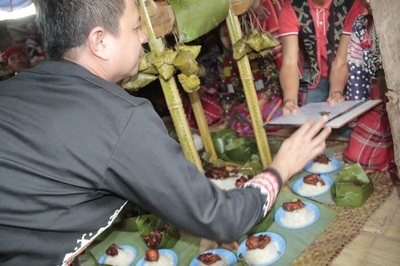 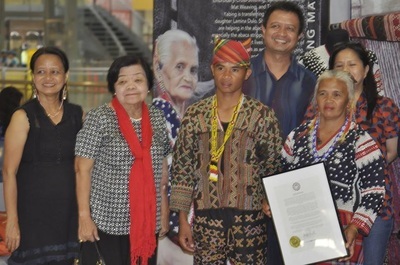 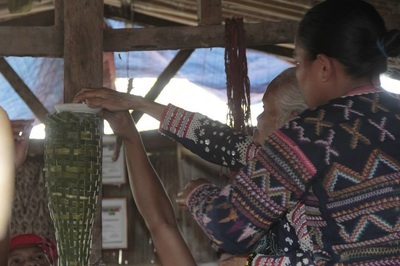 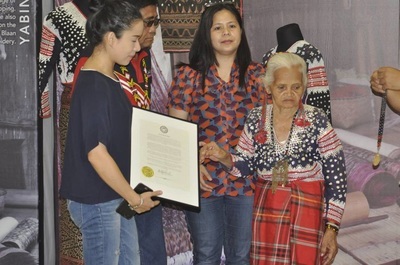 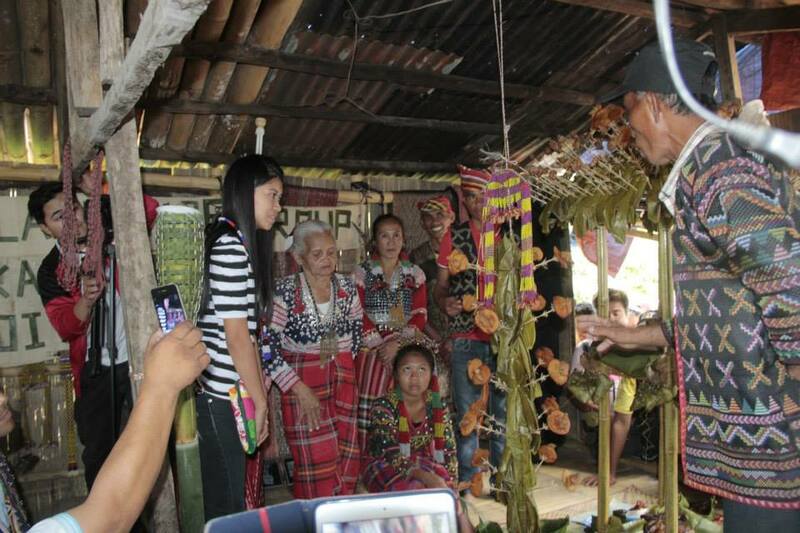 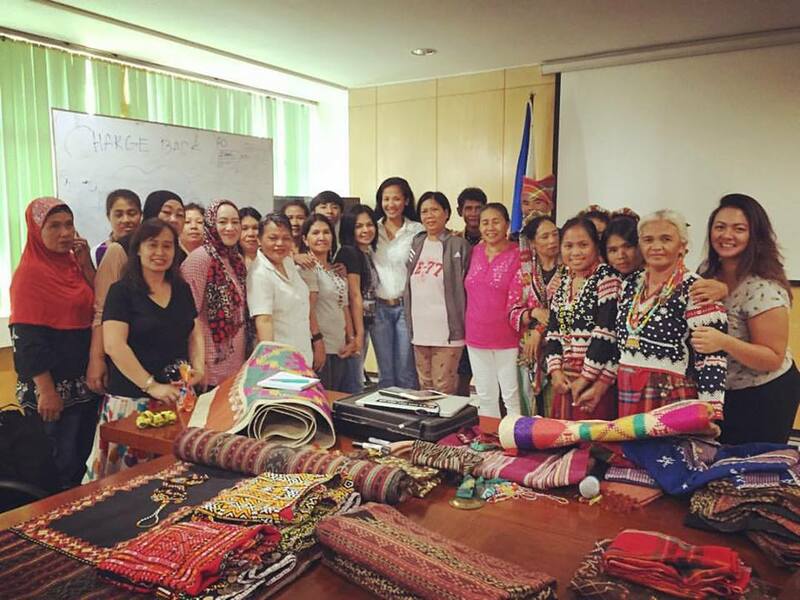 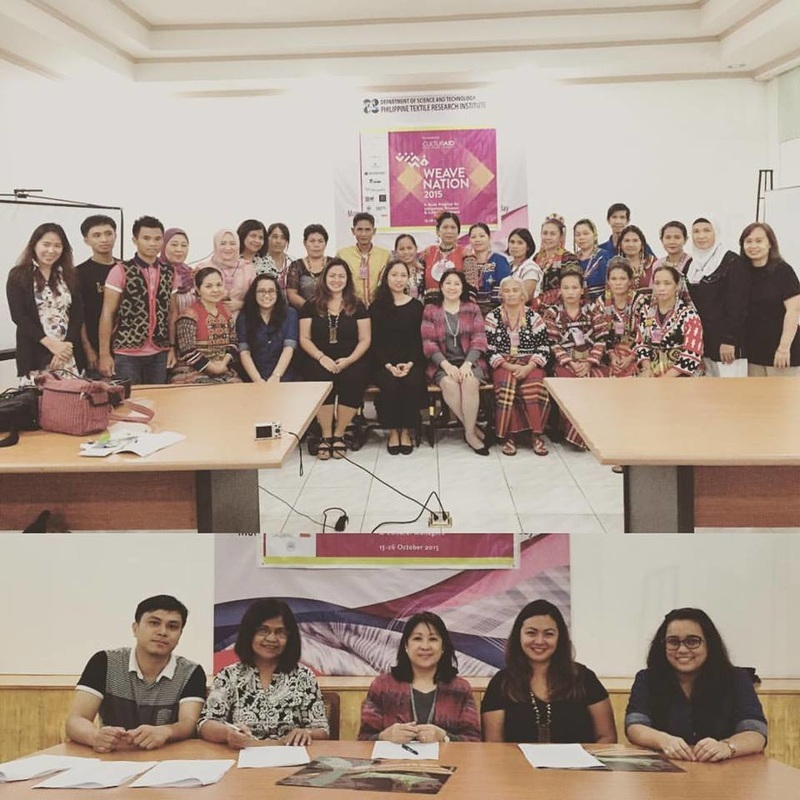 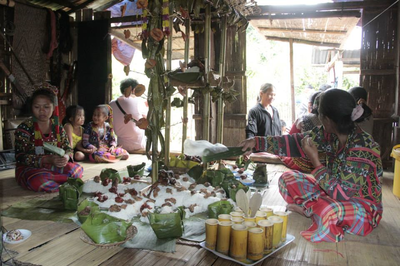 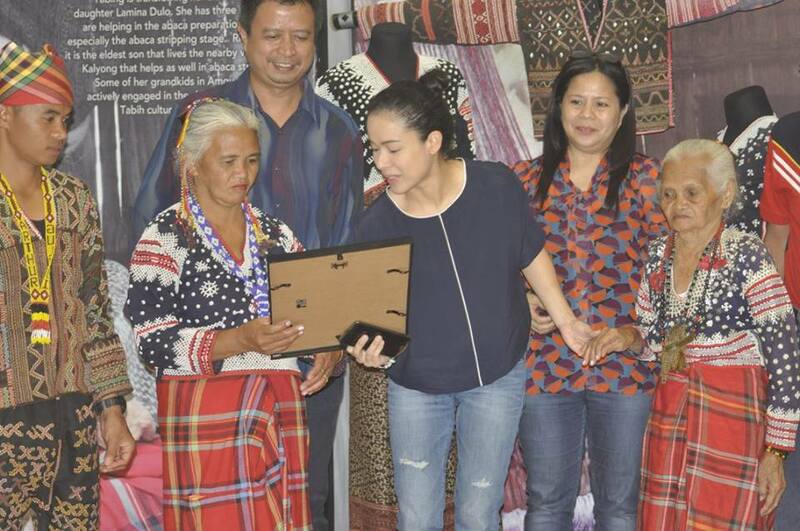 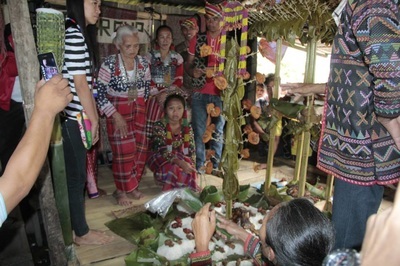 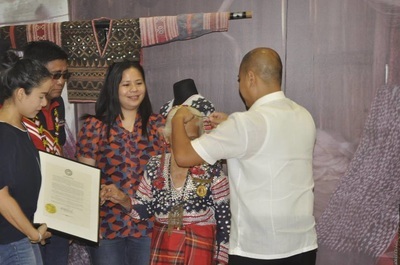 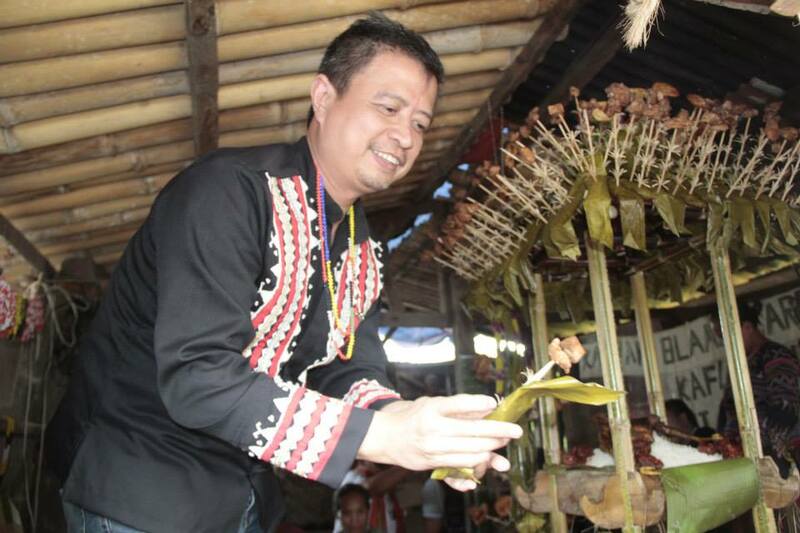 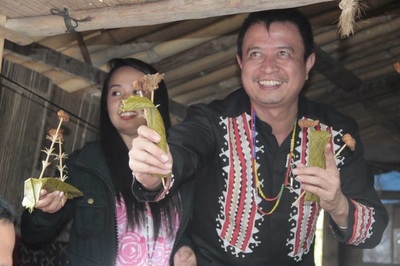 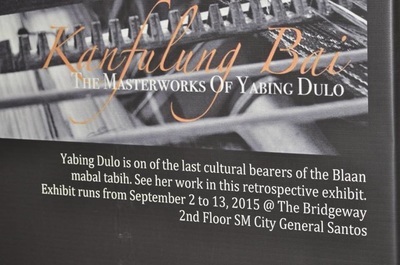 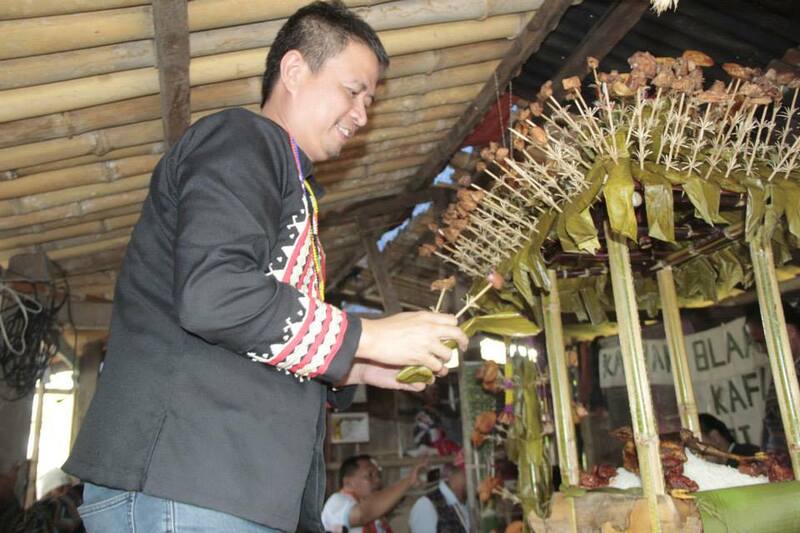 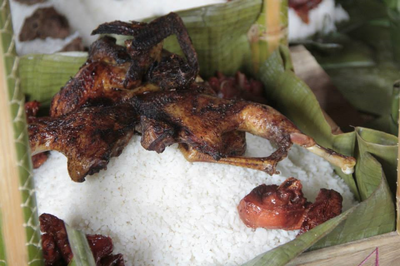 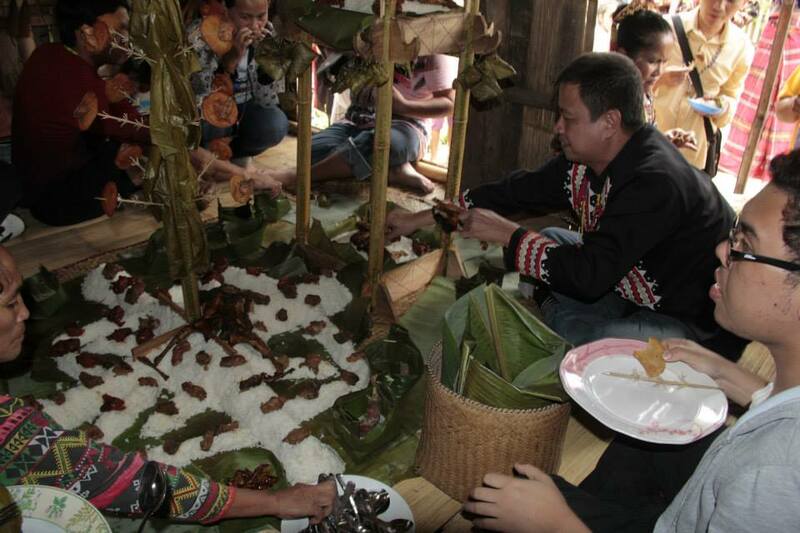 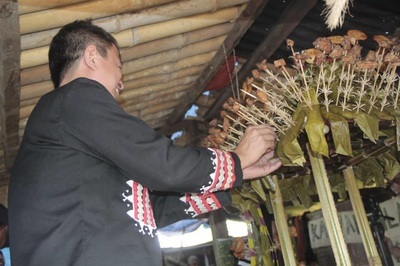 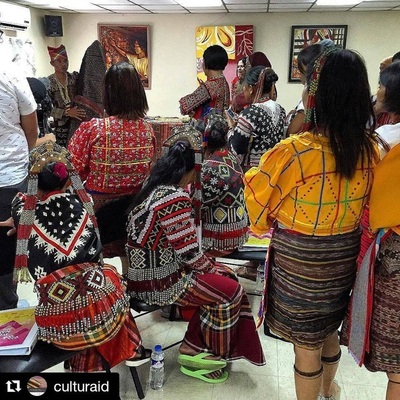 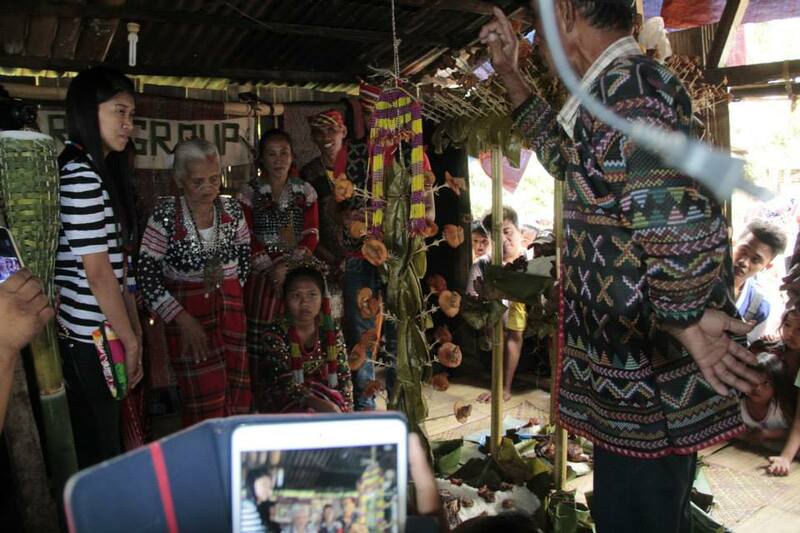 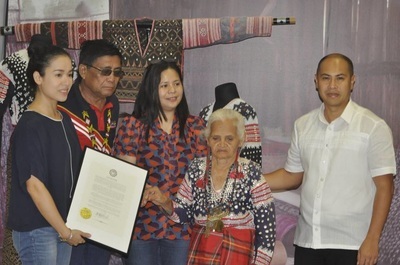 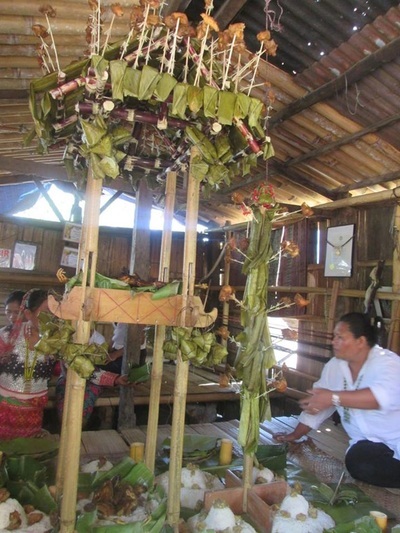 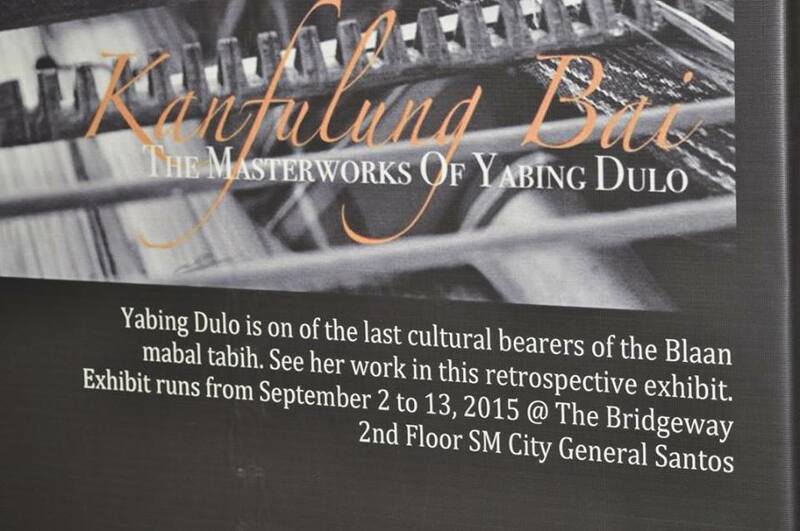 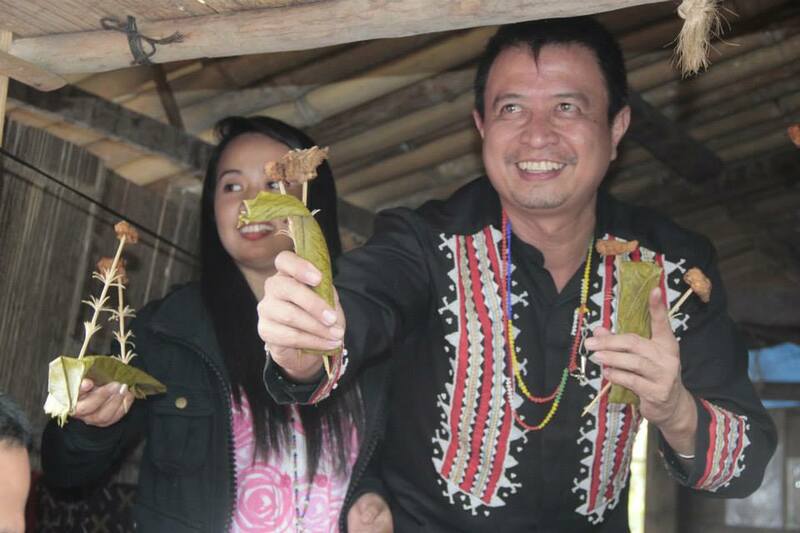 Ramon Magsaysay Memorial Colleges (RMMC) Blaan Studies Center and The National Commission for Culture and the Arts (NCCA) honored Fu Yabing Masalon Dulo through this Damsu thanksgiving ritual last August 23, 2015. 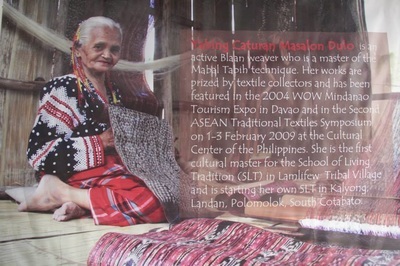 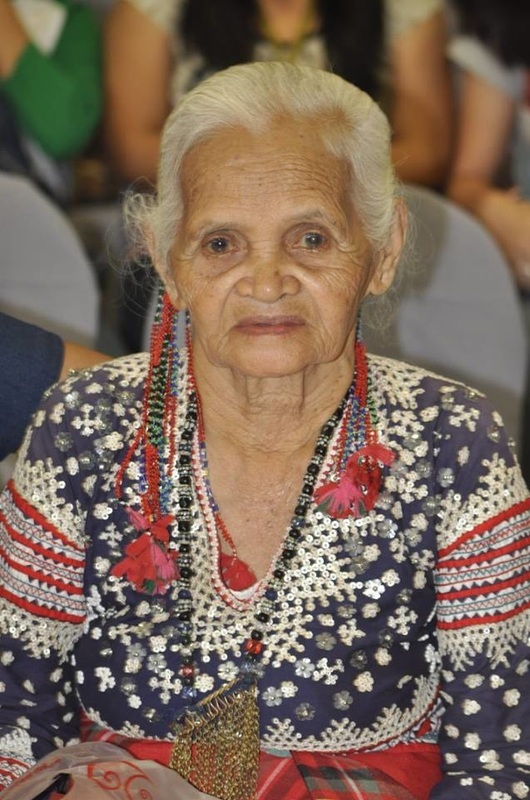 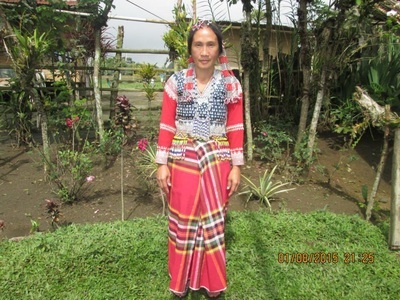 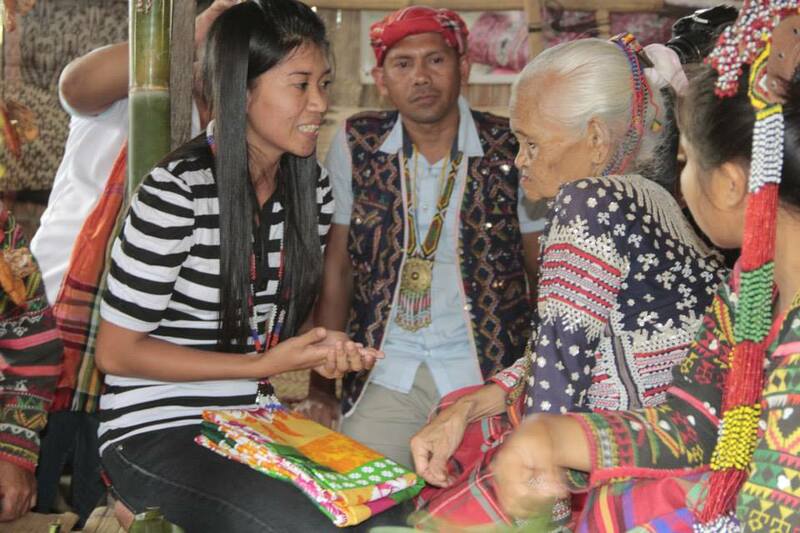 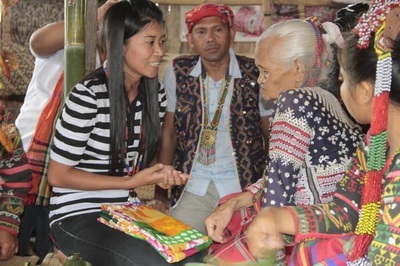 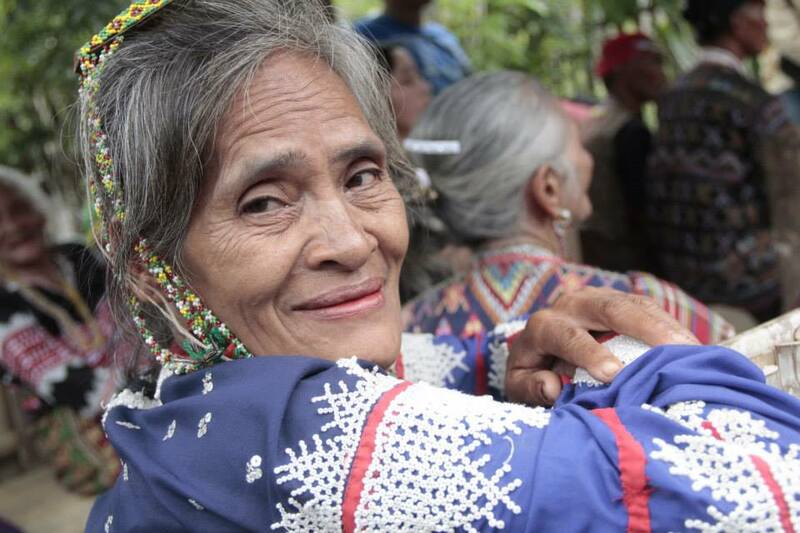 This is the very first time she's honored in her own community... by partner institutions through the newly organized Kalyak Blaan Care Group. 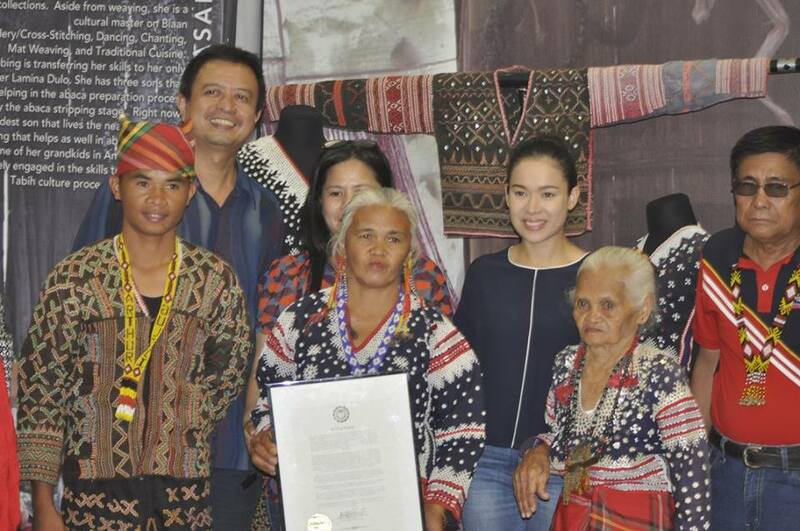 We are thankful to Leonardo Rey S. Cariño for his untiring efforts in Blaan culture and identity education & preservation in our Region. 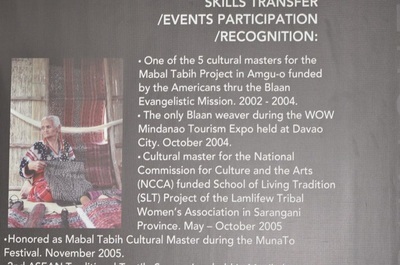 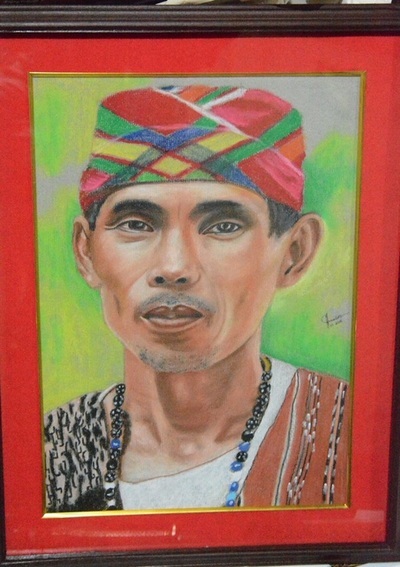 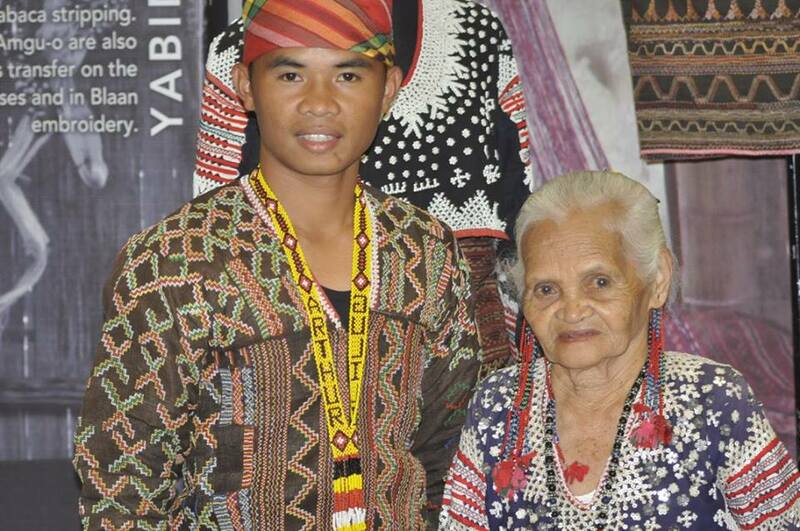 Thank you/Bong salamat South Cotabato Indigenous Peoples Mandatory Representative (IPMR) Fulung Edgar Sambog and NCIP representative Ms. Duji Clara for witnessing this historic event in Amgu-o, Landan... the home of Blaan Mabal Tabih cultural masters in our province with only Fu Yabing alive right now and still doing skills transfer.Bong salamat DOT 12 thru the representation of Kervin Kyle, cultural workers Carlo Ebeo and Jm Lavega for joining this celebration. 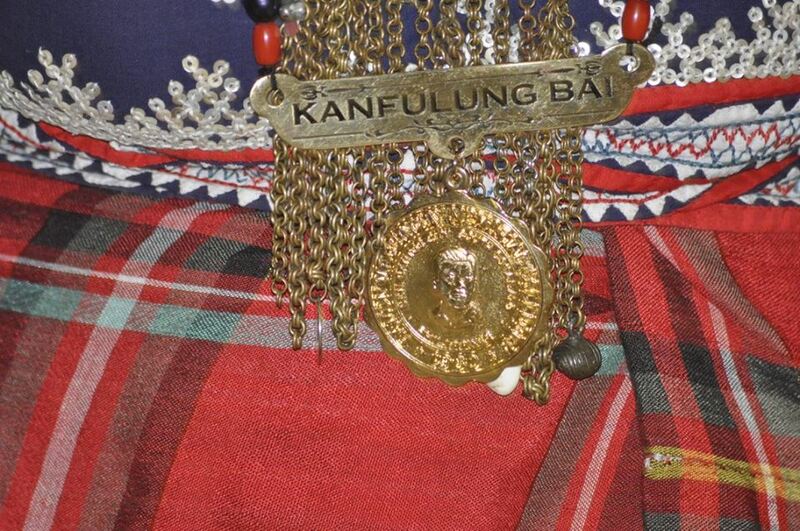 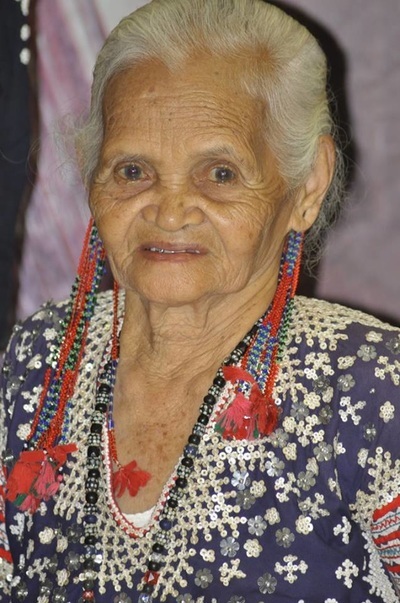 The Amgu-o community is blessed in a historic Kaflehew... First Birthday celebration for Fu Yabing at 90 years old, the Damsu (thanksgiving ritual in her honor and that of her supporters/partners), the recognition of a newly organized Kalyak Blaan Care Group.